Just a collection of dots on the vastness of the Eastern Mediterranean, the Venetian was an empty empire. Isolated outposts separated by hundreds of miles on a culturally diverse territory that the Venetians called the Stato da Mar (Domains of the Sea), these settlements existed with the only purpose of extending Venice's commercial dominion in the region. After the conquest, occupation, annexation or appropriation, whatever the method of gaining control over the territory was, the Venetians had little interest in colonizing it. Each outpost had at the most a few thousand people comprising skilled workers to repair their ships, slaves for the warehouses, owners of small businesses and officials to control the trade operations always in the hands of the nobility or the citizens of the Republic. The exception was perhaps Crete, the impoverished Greek island in the Aegean, that Venice controlled for more than four hundred years and where many noble Venetian families made their permanent home. Around 1570 the population of the Stato da Mar was estimated at 300,000, with half of that living in Crete. Despite its porous structure, the Venetian Empire at its peak moved an incalculable amount of wealth from one corner of the known world to the other, and it did it with precision, efficiency and faithfulness for the "honor and profit of Venice." Many names around the Mediterranean are associated with Venice's history. They pop up at every turn in its myth and narrative: Alexandria, Corfu, Cyprus, Tana, Acre, Malvasia, just to mention a few. Some were part of the Venetian Empire, others were just trade partners or competitors or enemies depending on the prevailing winds of the time. Here you will find a short description of some of these places and their relation to La Serenissima. The list is certainly not exhaustive. How could it be when we are talking about Venice after all? Two recent books on the history of Venice must be mentioned: "City of Fortune. How Venice Ruled the Seas," by Roger Crowley, Random House, New York, 2011; and "Venice. A New History," by Thomas F. Madden, Viking, New York, 2012. Although the subject is the same, the approaches are different. While Crowley concentrates in great detail on the naval power of Venice from the 11th until the 16th century, Madden recounts Venice's history, often from a novel perspective, from its beginnings until the present day. Madden's prose is particularly vivid and engaging. Each book in its own right makes a wonderful read for any lover of Venice. Alexandria played an important role in the construction of the myth of Venice. From here the body of Saint Mark was purportedly stolen by two Venetian merchants, Rustico of Torcello and Buono of Malamocco, and taken to Venice in 828/9. Hidden among pieces of cured pork, the body made its way through the Mediterranean bringing calm and peace to its turbulent waters during the voyage. It was received in Venice with great pomp by Doge Giustiniano Partecipazio, the patriarch of Grado, the clergy and the people at large. Saint Mark displaced Saint Theodore as the patron saint of the city, a basilica was built in his honor, his body was lost in a fire and then miraculously recovered, and the rest is history. Well, not quite... A small piece of the body was returned to the Coptic Orthodox Church of Alexandria in 1968 by Pope Paul VI. The Venetians kept two fondaci in Alexandria. Like the fondaci for Germans and Turks in Venice, these were large compounds that provided room, board and storage facilities for the merchants of Venice operating in the city. Commerce with Alexandria was intense and included cotton, silk, flax and species taken to Venice –and from there to the rest of Europe– and furs, wood and metals from Europe to Egypt. The city was besieged and looted by the Venetian naval commander Francesco Morosini during the Morean War (part of a larger confrontation, known as the Great Turkish War) in which most of the eastern European states fought against the Ottomans. 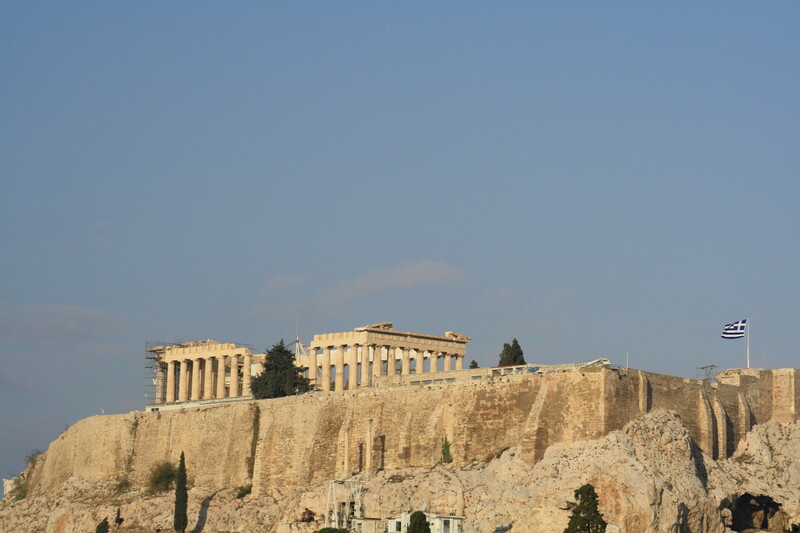 The Parthenon, used by the Turks to store ammunition, was bombarded by the Venetians in 1687 and seriously damaged. 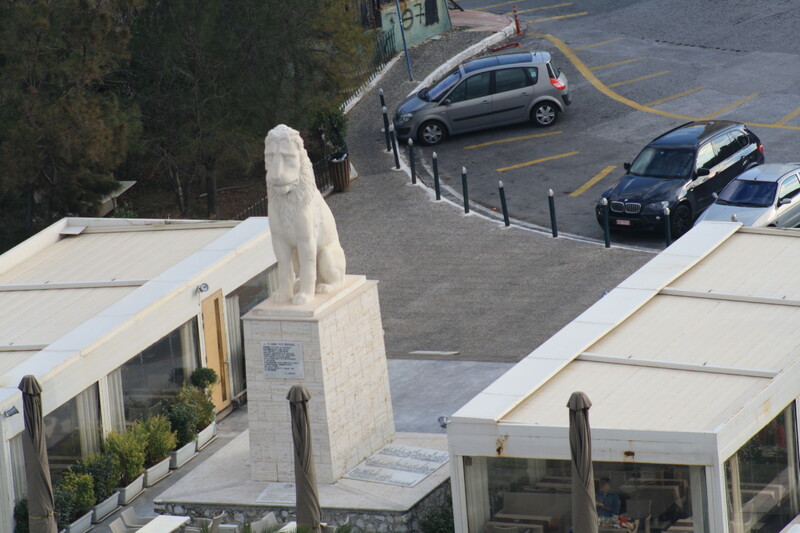 The marble lion that had stood in the port of Piraeus since the 1st or 2nd century AD was taken by Morosini to Venice where it can be seen today guarding the entrance to the Arsenal. A copy now stands in Piraeus. 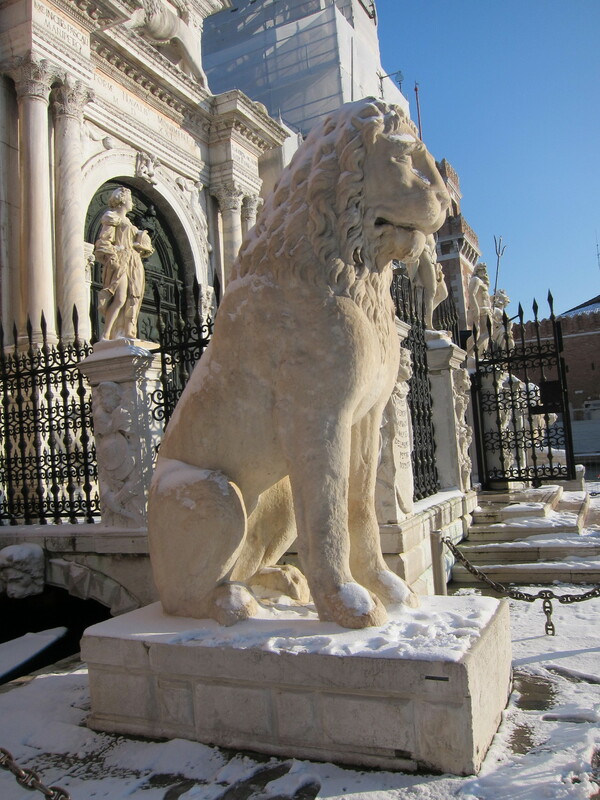 This lion is notorious for the runic inscription on its side, probably the work of Scandinavian mercenaries in the service of the Byzantine emperor. During the Middle Ages the city of Athens and the port of Piraeus had lost their past influence to the point that the name Piraeus had been forgotten and the port was called Porto Leone by the Venetians. 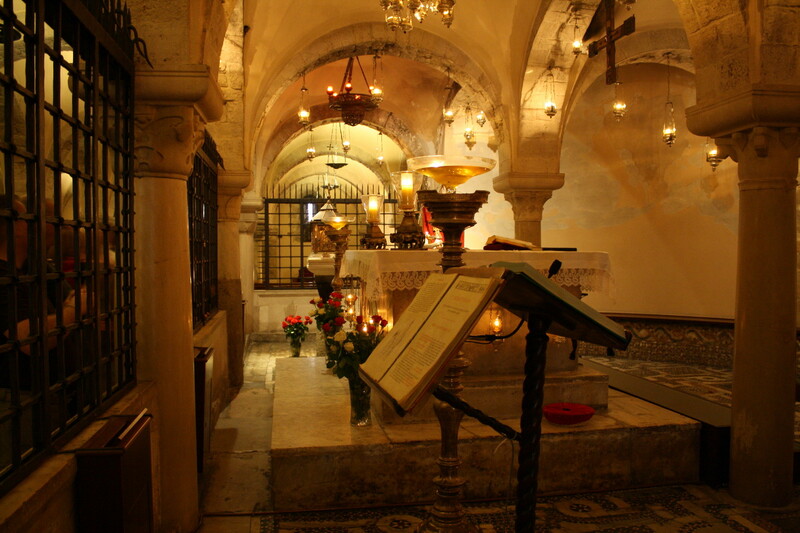 The Normans, rulers of Bari in the 11th century, built a church to house the relics of Saint Nicholas that the people of Bari had stolen from Myra in 1087. Such acts of body snatching were called "furta sacra" or "holy theft" and regarded more like a rightful relocation than ordinary robbery. The Venetians too had their eyes set on such valuable relics –Saint Nicholas being the patron saint of fishermen, mariners and merchants– and even built a church to house them in the Lido. But they were thirteen years too late. 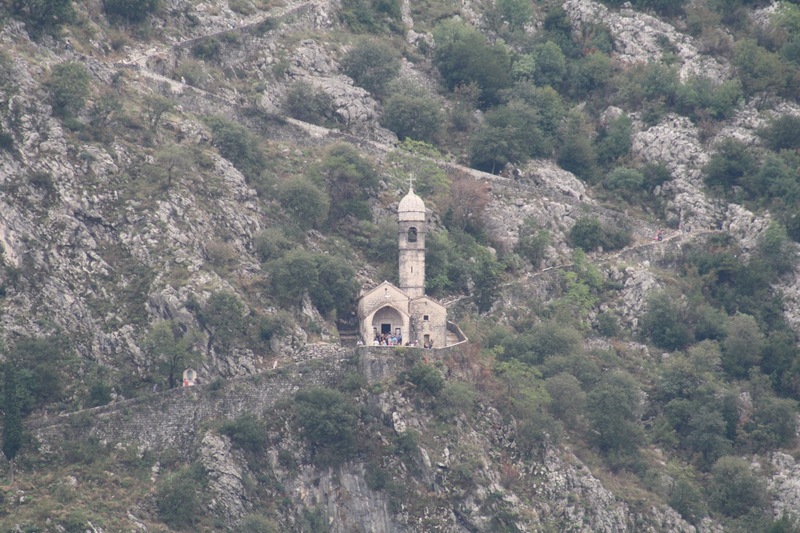 When they arrived in Myra in the spring of 1100, during the First Crusade, and tried to take the body of the saint, they were told that the relics had already been taken by the Bariense. As a consolation prize they were offered the remains of the saint's uncle and namesake. In the process of taking the relics of the second Nicholas, they discovered that at least part of the relics of the true Saint Nicholas were still there, judging by the sweet smell that emanated from them. They took them along with the body of the uncle. Since then both cities, Bari and Venice, had claimed to have the true relics of Saint Nicholas. Forensic studies performed in the 20th century showed that the bones in Bari and in Venice belong to the same man. It seems that the Venetians took just the small bone fragments that remained in Myra after the Bariense had taken most of the body. Caffa or Kaffa –current name Feodosiya in the Ukraine– was an important commercial outpost on the northern shore of the Black Sea on the Crimean Peninsula. 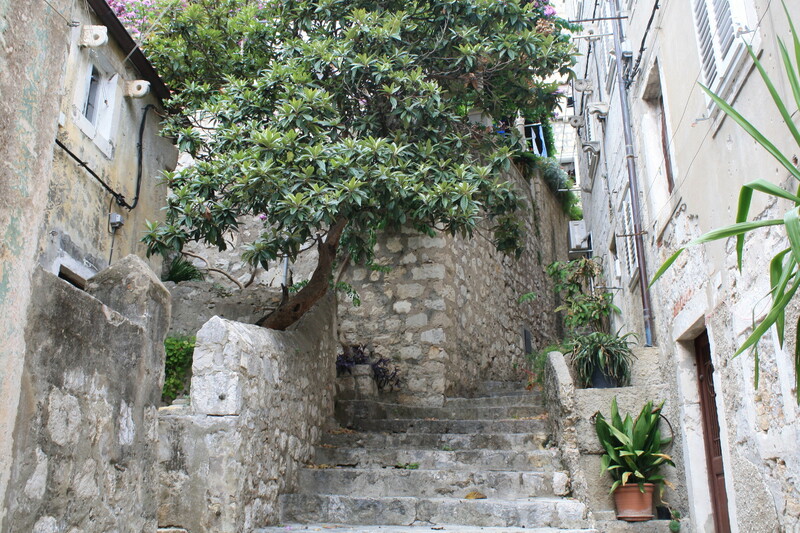 It was ruled by the Genoese -archenemies of the Venetians - during the 13th and part of the 14th centuries. It was a center of slave trade and one of the end points of the Silk Road. The wheat and fish loaded in Caffa were essential staples that fed millions in the Eastern Mediterranean. It is believed that the Black Death spread to the rest of Europe from Caffa in 1347. The Tartars had kept the city under siege since 1346 and were suddenly dying of the disease in very large numbers. In an early example of biological warfare they flung the infected corpses over the city walls spreading the disease to its inhabitants. 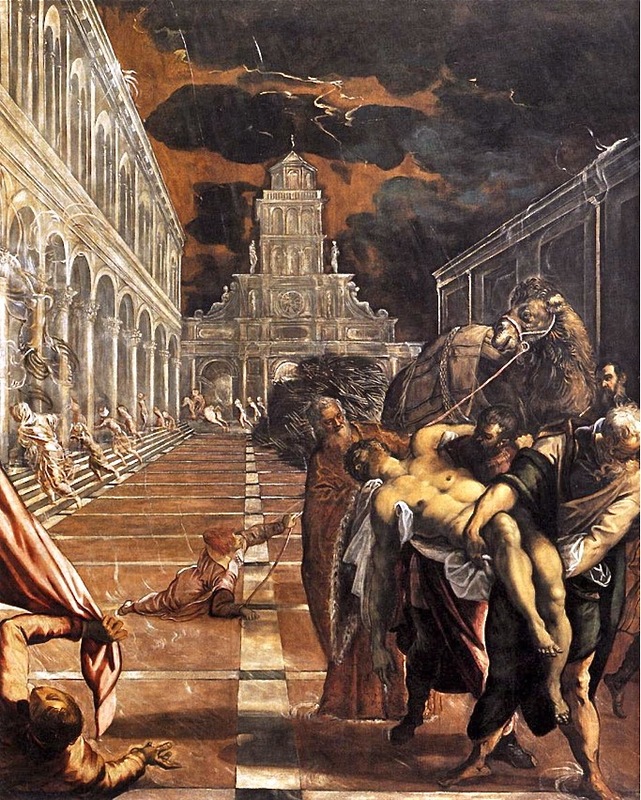 The Black Death reached Constantinople in December 1347 and Venice in January 1348. 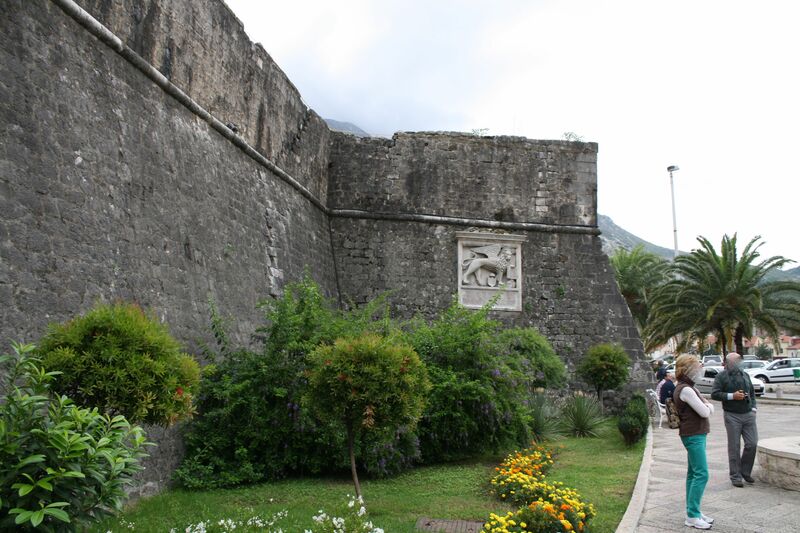 Cattaro is the Italian name for the city of Kotor in Montenegro. 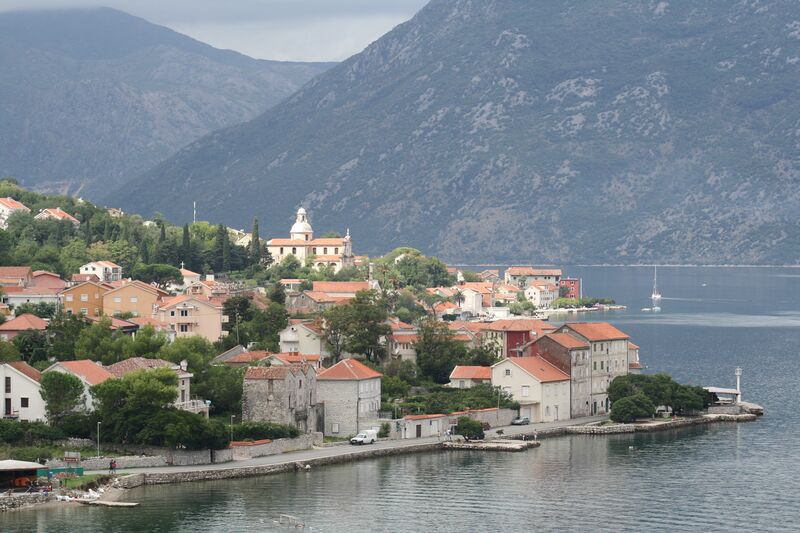 This beautiful medieval city is located at the end of the dramatic Bay of Kotor, called by some "the only fjord of the Mediterranean" (in fact it is not a fjord but a ria). 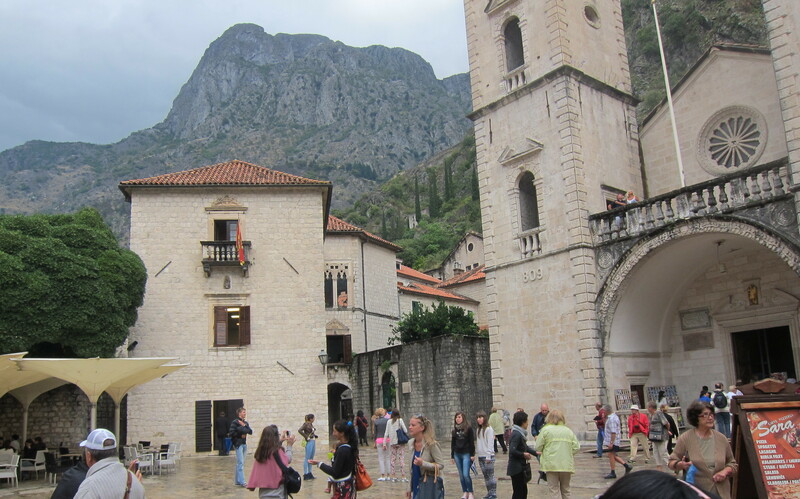 Situated in a strategic part of the Balkans, the Dalmatian city of Kotor was claimed as their own, at one time or another, by the Byzantines, the Serbs, the Bulgarians and the Hungarians. 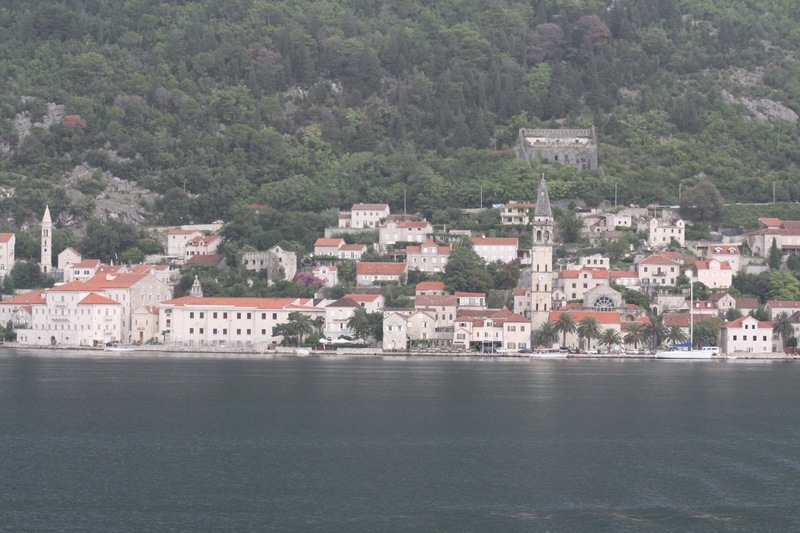 In 1420 Kotor sought Venetian protection and remained under the Serenissima's control until the end of the Republic in 1797, except for intermittent periods under Ottoman rule. 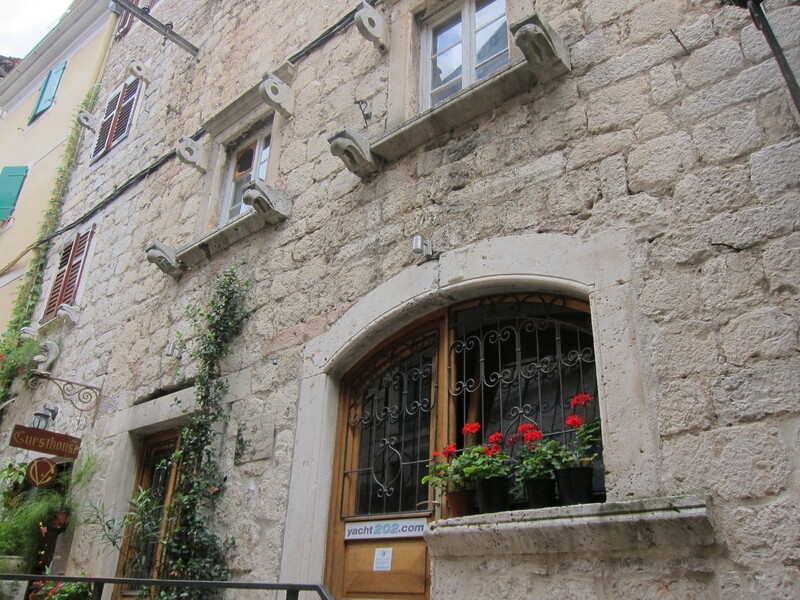 The architecture and design of the city of Kotor and nearby towns, such as Perast also in the Bay of Kotor, have a clear Venetian influence. The unmistakable campanili dot the shores of the bay and the typical Venetian-Gothic windows grace many of the buildings. 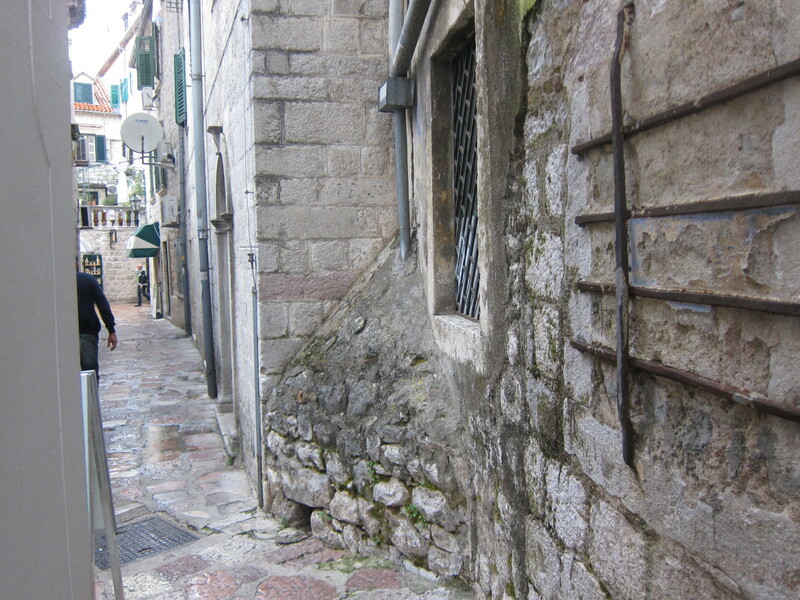 As much as the Venetians brought to this part of the world, they took back home. The Dalmatians had a great impact on Venice's life. The schiavoni (the collective term used to describe the peoples of the Eastern shore of the Adriatic) were merchants, artisans and loyal members of the Venetian navy and army. At the fall of the Republic, the unit of the schiavoni guards was the last one to be forced out of Venice. 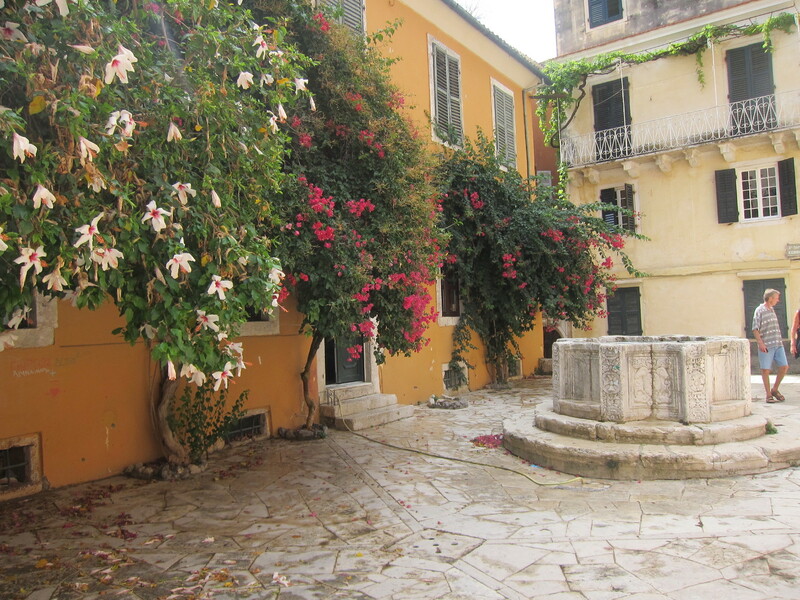 the women of Kotor congregated around this fountain (one of the few in town) to gather water and gossip. that in the old days was associated with prostitution. an unbecoming sign for such an important post. 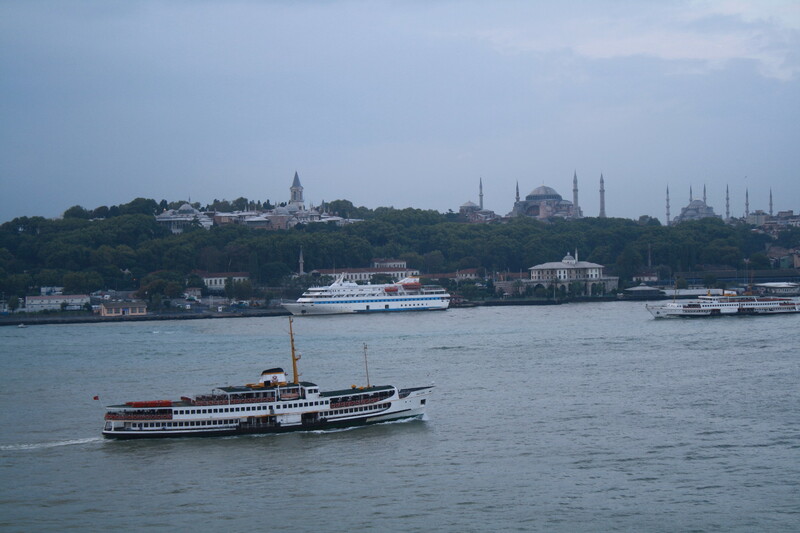 Throughout the centuries Constantinople, today Istanbul, experienced a conflictive relationship with Venice. The city was at times mother, at times daughter, at times friend and at times enemy of La Serenissima. But it was always the mirror the Venetians used to peek into their own soul. Although technically part of the Byzantine Empire, Venice always enjoyed a high degree of independence from Constantinople. Venetians maintained a considerable colony in the capital of the empire that allowed them to keep a very intense trade activity that radiated to the rest of the Eastern Mediterranean. Political instability in Constantinople had ripple effects in Venice who knew how to take advantage of those situations for its own political and, above all, commercial gain. A series of misunderstandings, close-door deals and duplicitous scheming (for which the Venetians were only partially responsible) led to the capture of Constantinople by Doge Enrico Dandolo in 1204 and the ensuing ransack of the city during the Fourth Crusade. Many treasures were moved to Venice, among them the horses of San Marco that once stood at the hippodrome. What had began as the Fourth Crusade to free Jerusalem from Muslim dominion, ended with the attack of Christian cities such as Zara and Constantinople by an ever determined Doge Enrico Dandolo who was blind and ninety seven years old at the time. 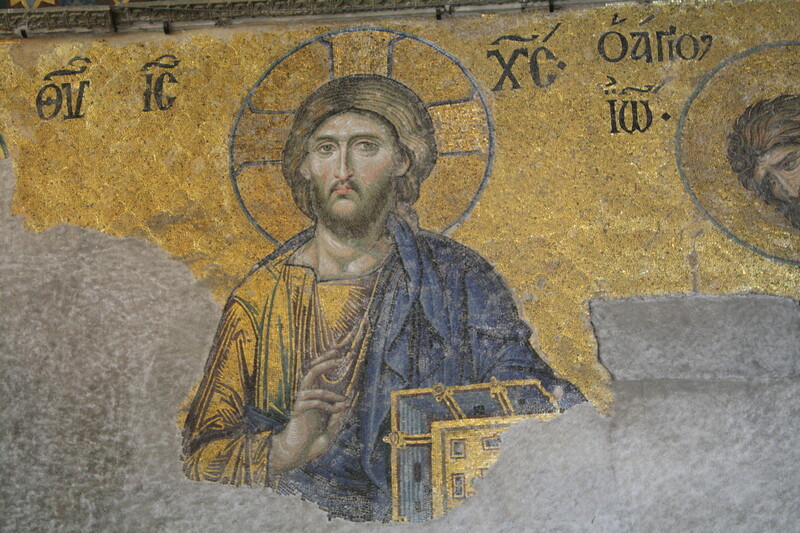 He died in Constantinople and was buried in Hagia Sophia. A cenotaph that marks the probable location of his tomb, destroyed long ago by the Turks, can still be seen today. After the fall of Constantinople to the Ottomans in 1453, Venice's relationship with the Turks alternated between friend and foe. Notwithstanding, Venice kept a small number of people to tend to its business in the Ottoman capital. In the district of Galata, also known as Pera back then, across the Golden Horn and at a certain distance from the seat of power, the bailo –Venice's representative and his entourage, called the famiglia– helped the Venetian expatriates conduct their business with the Turks. They also kept a close eye on the sultan's court through a network of spies. Today the district of Galata is called Beyoğlu in Turkish, a word that is most likely derived from the Venetian term bailo. 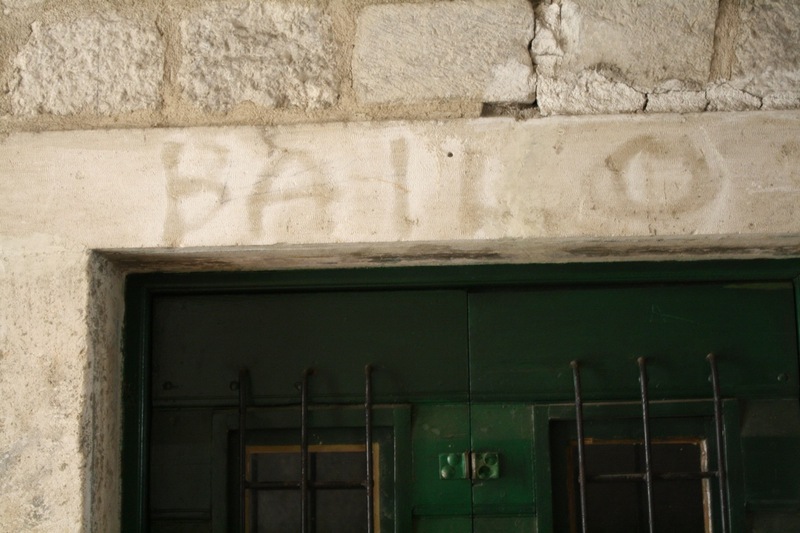 The English word bailiff shares the same root with bailo, from the Latin bailus, carrier. A priced Venetian possession in the Ionian Sea, off the coast of Albania, the island of Corfu –also known as Kerkyra– was bought by Venice from the King of Naples in 1386 for 3,000 ducats. It remained under Venice's rule until 1797. Today it is part of Greece but it used to be called the Door to Venice, because it stands so close to the south end of the Adriatic Sea, once called the Gulf of Venice. During Venetian rule, the port was renowned for its prostitutes and the French disease they carried. 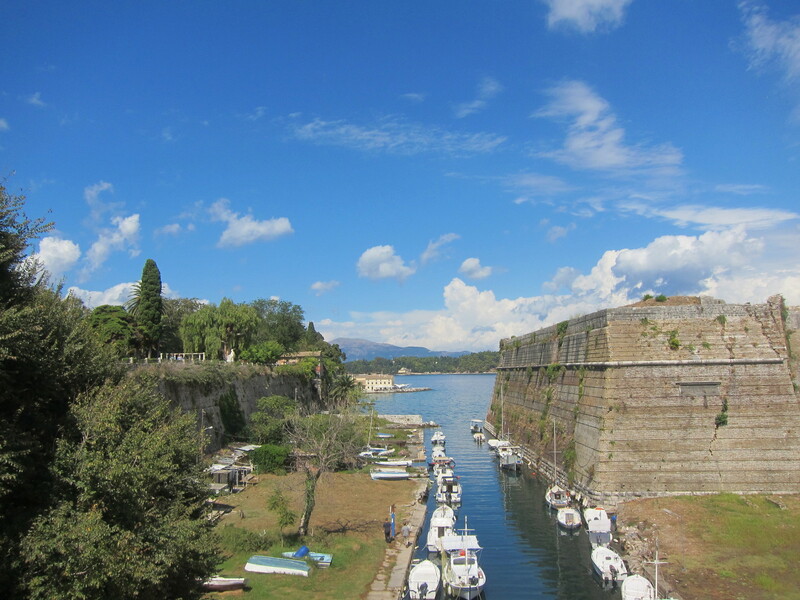 Corfu was considered a bastion of the so-called western civilization because, over the centuries, it valiantly stood many Turkish attacks and never surrendered. 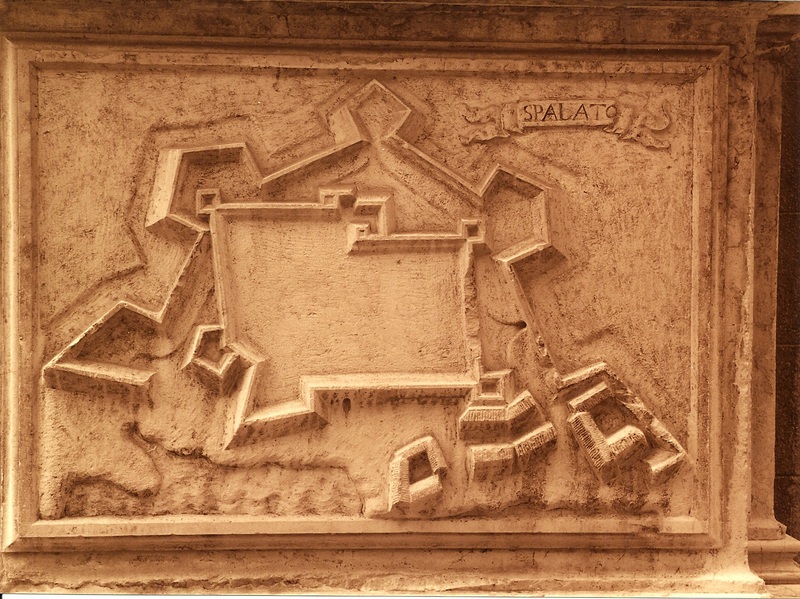 A carving depicting the citadel of Corfu can be admired on the façade of the church of Santa Maria del Giglio in the sestiere of San Marco. 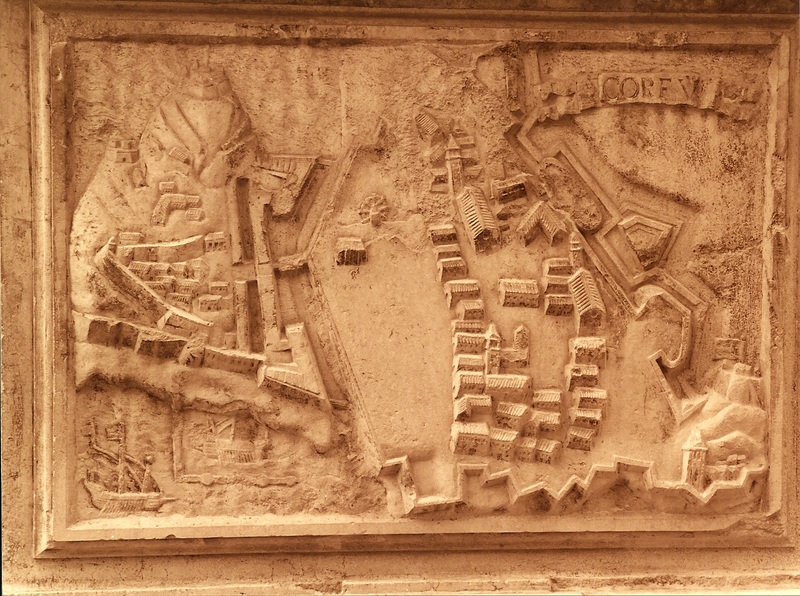 Today the city of Corfu still resembles this old carving. 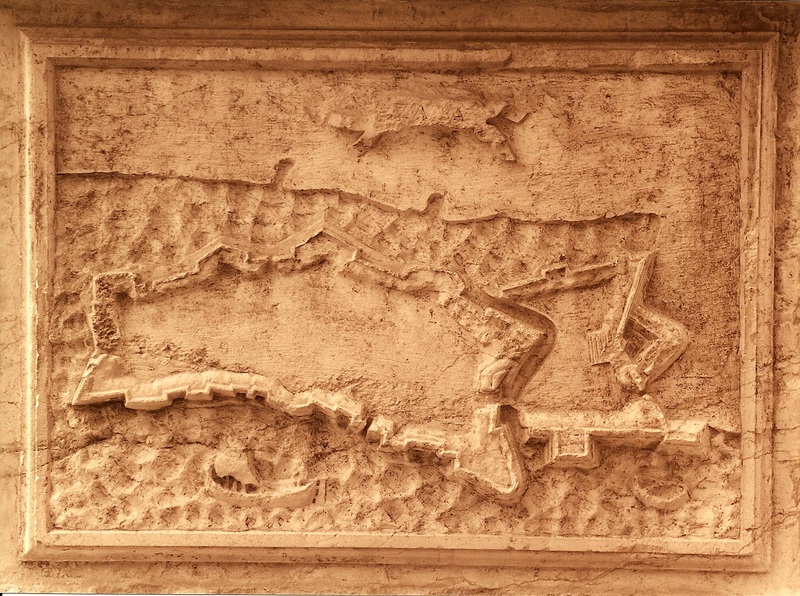 The fortress is separated from the town proper by the same canal shown in the above relief. 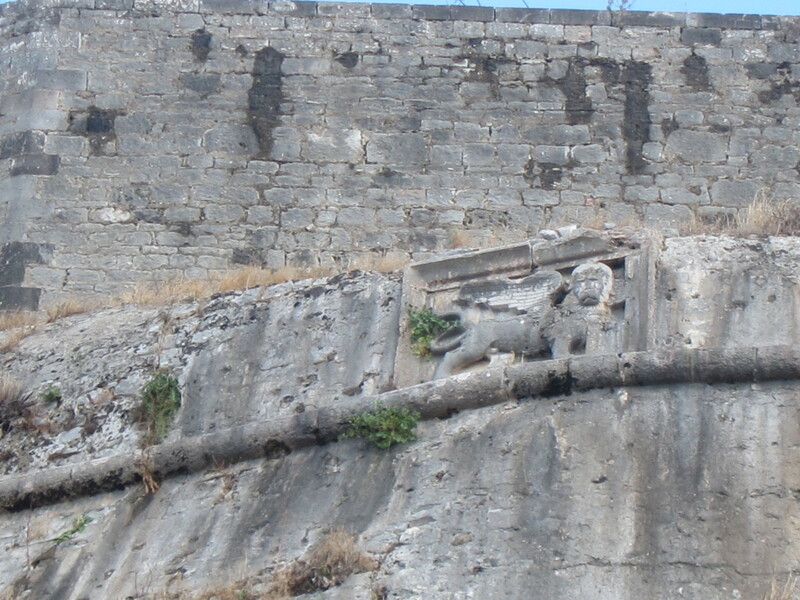 The triumphant lion of San Marco is prominently displayed on the walls of the fortress. The old district of the city, shown above on the bottom-right, is called Campielo. A stroll around it will transport you back to Venice in no time. 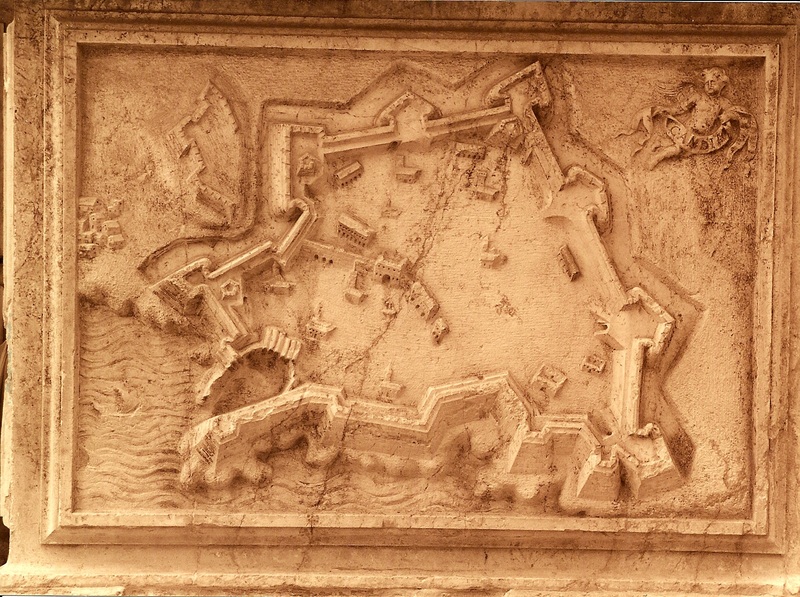 Coron and Modon (now known as Koroni and Methoni) were two important ports on the Peloponnese that the Venetians occupied since the beginning of the 13th century. Only twenty miles apart from each other, the two outposts were essential stepping stones in the maritime routes to the East. 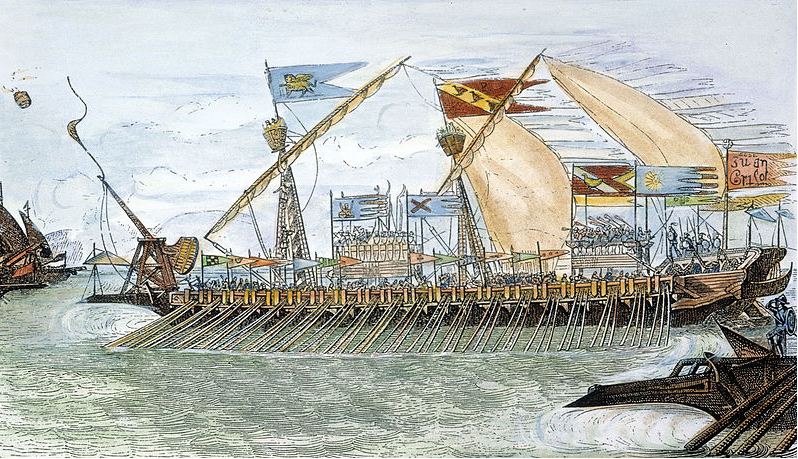 All ships returning form the Levant had to stop here and relay information about spice prices, piracy in the Aegean and political unrest in the eastern colonies, information that was quickly dispatched to Venice. Such an important role in Venice's Stato da Mar merited the name of "Eyes of the Republic" to Coron and Modon. 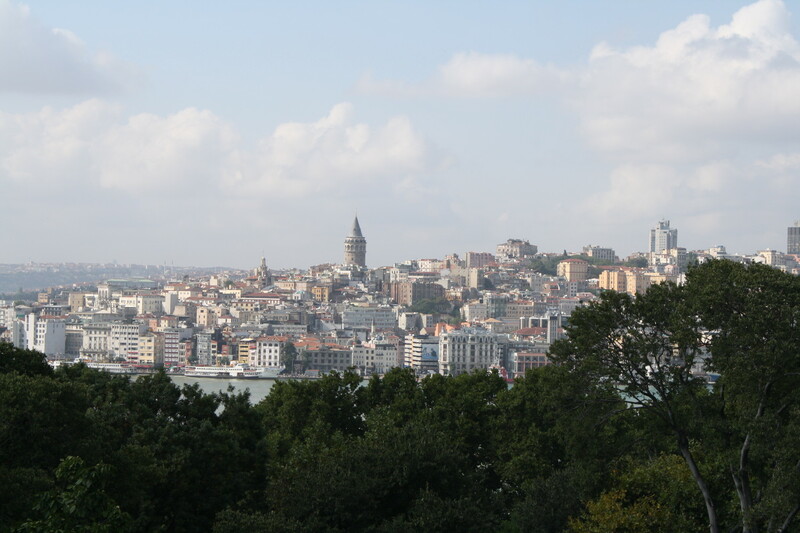 The Turks took possession of the two ports in 1500 until almost the end of the 17th century. In 1686 and until 1715 they returned to Venice's rule. Crown of the Stato da Mar, the island of Crete, also known to the Venetians as Ducato di Candia after the name of its most important city, was purchased by Venice in 1205, at the end of the Fourth Crusade, from the crusader Boniface of Montferrat. It remained under Venice's control for more than four hundred years. 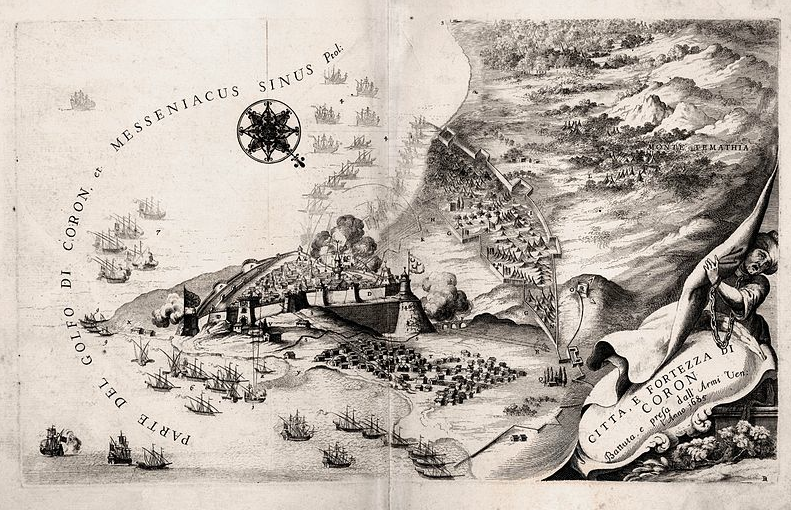 It was surrendered to the Turks in 1669, after twenty two years of siege, by the Captain General Francesco Morosini. Like Venice proper, the island was divided into six sestieri named after the sestieri of Venice: San Marco, Santa Croce, Castello, San Polo, Dorsoduro and Santi Apostoli. There was even the island of Spinalonga (old name of the Giudecca island in Venice) off the northern coast of Crete. The city of Candia (today Heraklion) remained an autonomous district. Throughout the centuries of Venetian dominion there were many revolts for independence, some even led by the descendants of the Venetian nobility settled on the island for generations. 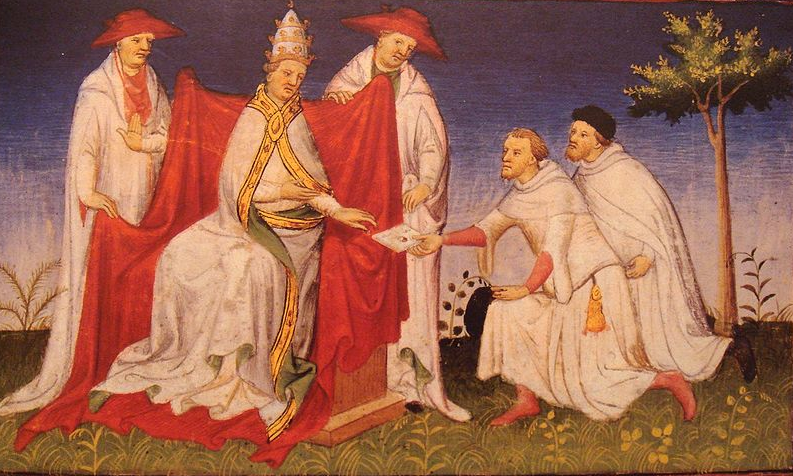 Among those uprisings perhaps the most memorable was the Revolt of Saint Titus (1363-1364) led by the Cretan branches of the Gradenigo and the Venier families over an increase in taxes imposed by Venice. After several months of failed negotiations, the Venetians finally suppressed the revolt by military action. 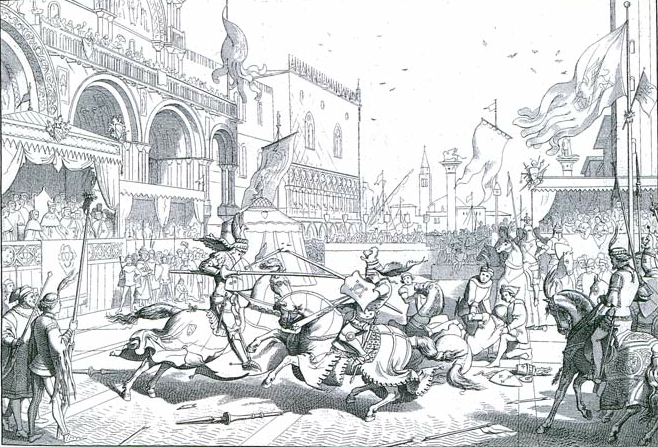 The rebel leaders were executed and Venice celebrated the recovery of its most prized possession with jousts and games in Piazza San Marco. After the fall of Constantinople to the Turks in 1453, many Greeks emigrated to Candia where they established a rich colony of scholars and artists. The painter Doménikos Theotokópoulos, known as Il Greco, was born in Crete during the Venetian rule, in 1541. He was trained on the island by the masters of the Post-Byzantine school before traveling to Venice where he lived for a couple of years and where he enriched his style under the influence of the Venetian Renaissance. At the age of 29 he moved to Rome and a few years later to Toledo, Spain, where he worked and lived until his death in 1614. 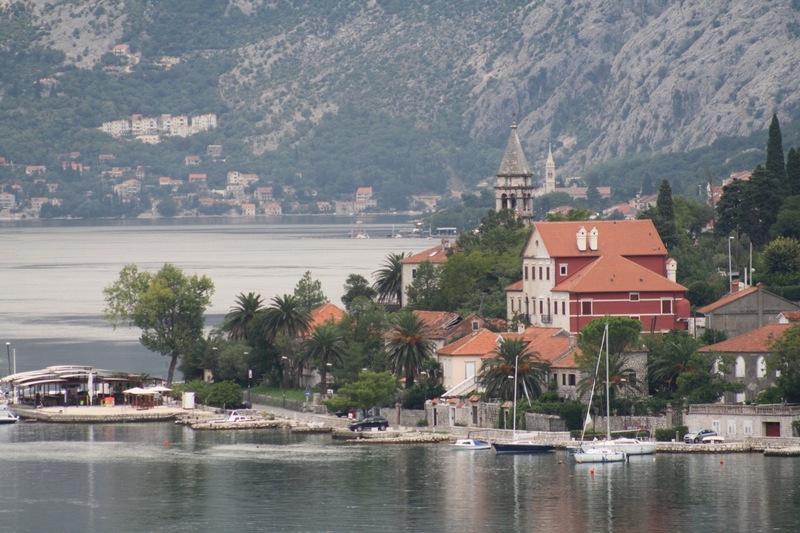 The island of Curzola (Korčula) in today's Croatia was linked to Venice since the beginning of La Dominante's maritime expansion. 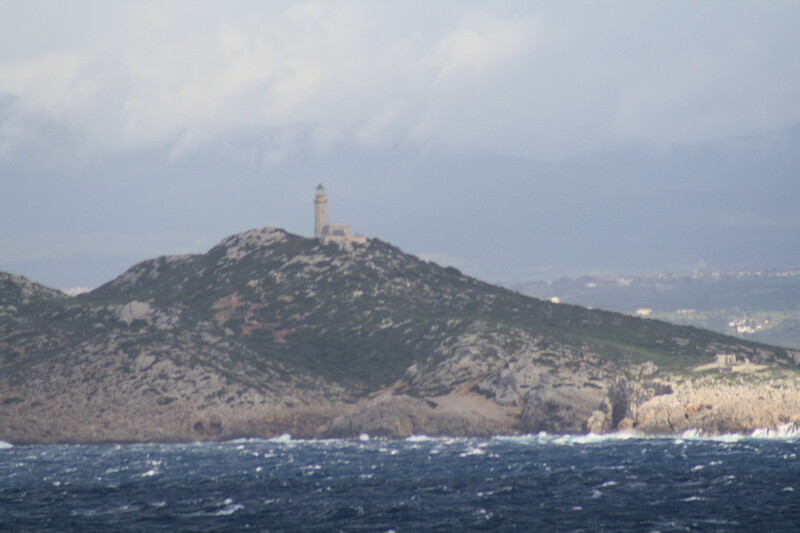 In 998 Doge Pietro Orseolo II took the title of Duke of Dalmatia after defeating the Narentine pirates of the Principality of Pagania on the eastern shores of the Adriatic. The geography of the place, with its many islands separated by narrow channels, was the ideal hiding place for the pirates. During the 13th and 14th centuries Curzola's fate alternated between Hungarian, Genoese and Venetian control until 1420 when it became subject to Venice until the last days of the Republic in 1797. 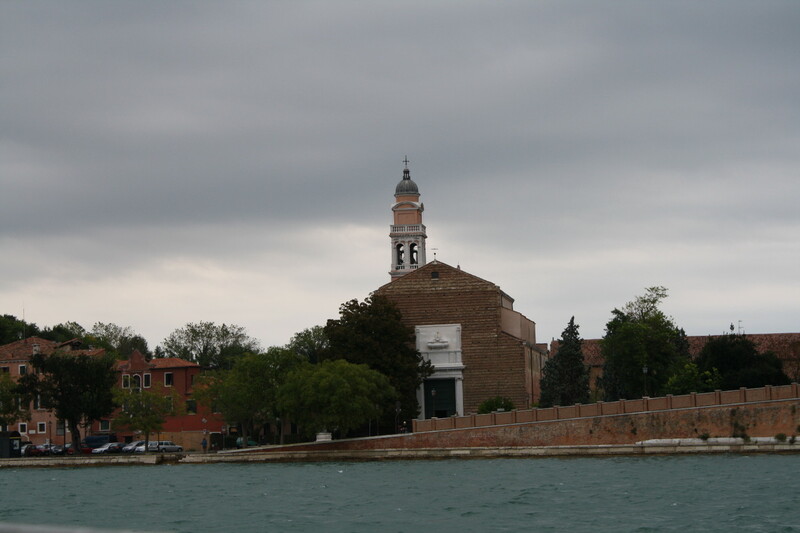 Curzola claims to be the birthplace of the most notorious Venetian, Marco Polo. Although there is no proof to this claim, it's certain that Marco Polo, a galley commander, was taken prisoner by the Genoese after Venice's defeat in the battle of Curzola in 1398. Marco Polo was taken to Genoa where he dictated the memories of his travels to his cell mate Rustichello da Pisa. 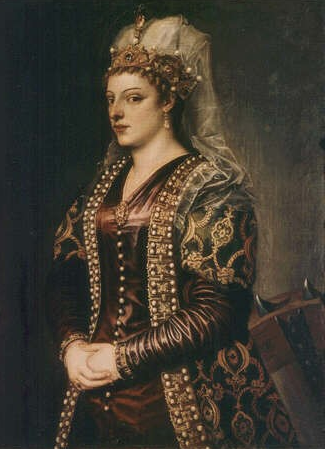 The island of Cyprus came under Venice's control in 1489 when Queen Caterina Cornaro, a Venetian by birth, was forced to abdicate after fifteen years of rule following the death of her husband King James II. 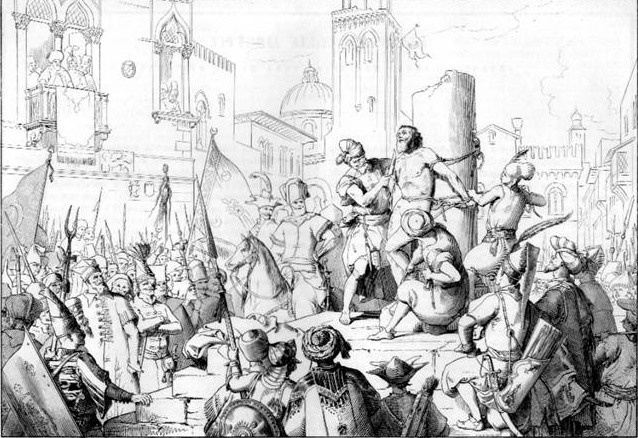 Cyprus remained under Venice's authority until 1570 when it was invaded by the Ottomans who beheaded the Governor Nicolò Dandolo and killed thousands of people in the two major cities, Nicosia and Famagusta. Cyprus was at the crossroads between East and West. 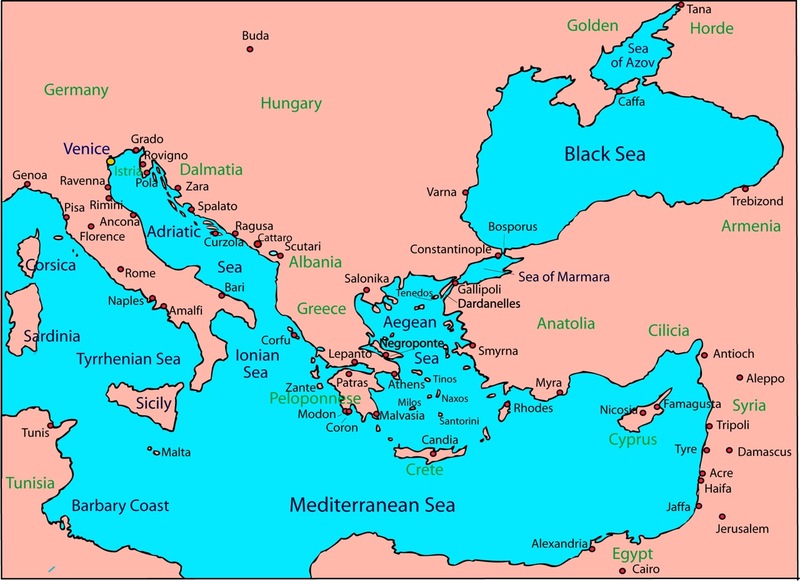 Middle Eastern by geography and European by dominion, it was a prized target of foreign interests: Byzantines, Franks, Mameluks, Genoese, Venetians, Turks, Greeks and British came in waves claiming rights of possession. 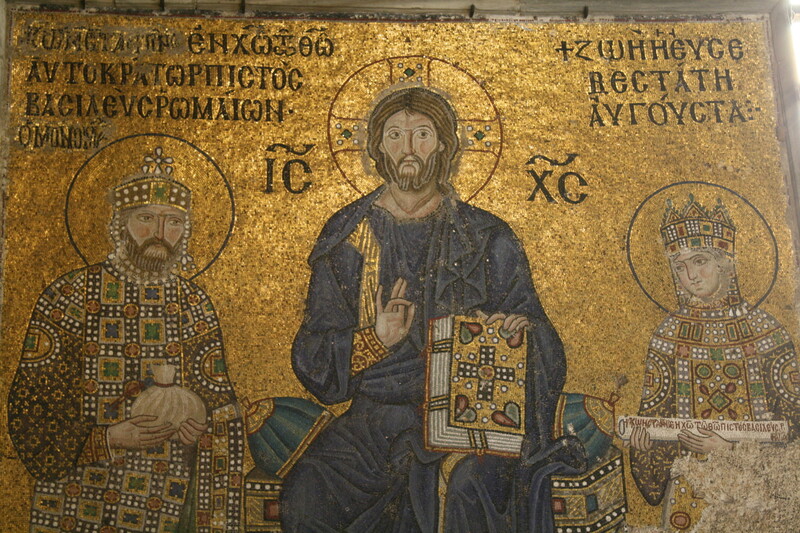 Today, Cyprus remains a divided country: a Turkish and Muslim north and a Greek and Orthodox south. 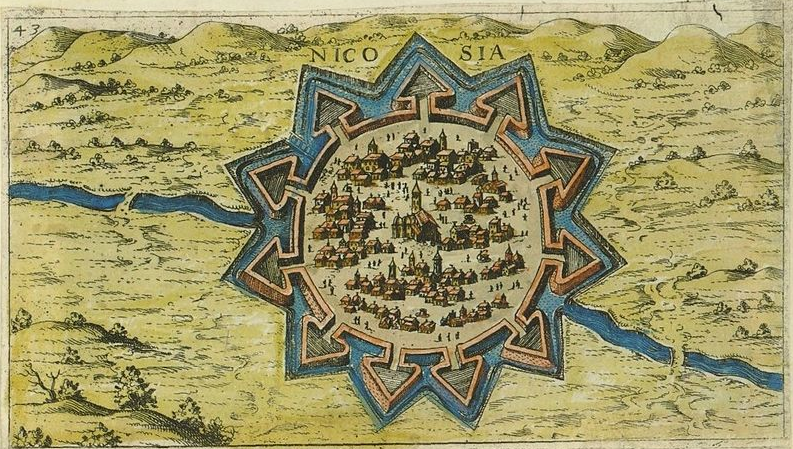 The city of Nicosia is split in two by a line that cuts across the old city walls built by the Venetians in 1567. 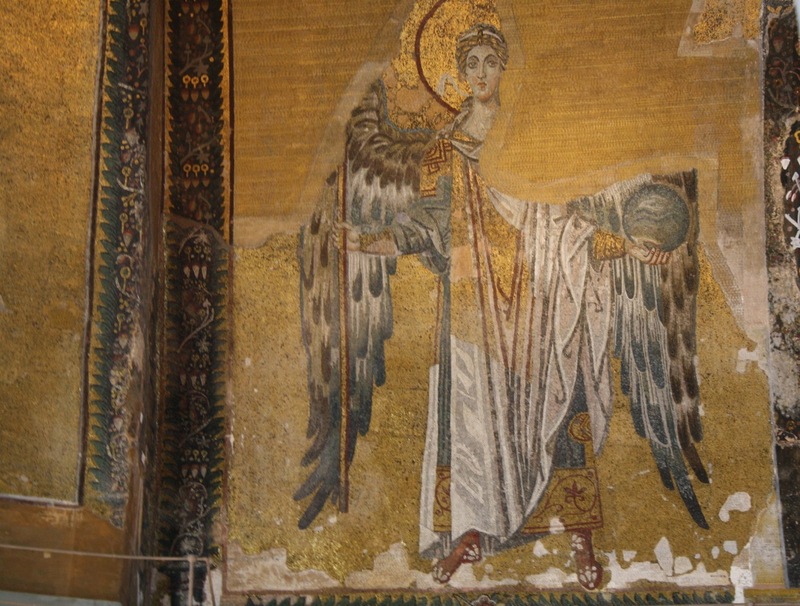 For Venice, Cyprus was a strategic outpost and a provider of a new commodity: cane sugar. 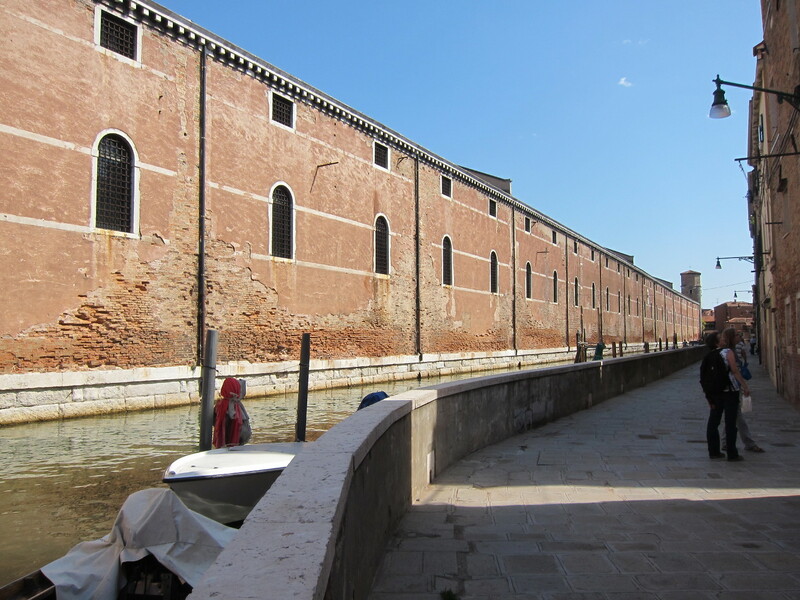 In the 15th century La Serenissima was the largest manufacturer and distribution center of sugar in Europe. Corte and Calle della Raffineria, near San Cassiano in San Polo, make reference to a commerce in which Venice had the upper hand for a couple of centuries. This city on the east coast of the island of Cyprus has the sad honor of being the place where Marcantonio Bragadin, Captain of the Kingdom of Cyprus, was flayed alive in August 1571, after surrendering to the Pasha Lala Mustafa following the fall of the city to the Turks. It was supposed to be a dignified surrender, but in an inexplicable change of course, the Pasha turned it into a gruesome spectacle. Bragadin's nose and ears were cut off in front of the crowd and then he was thrown into a cell for a couple of weeks. Tied to a pole, he was flayed alive. It's been reported that he died when they reached his stomach. His skin was stuffed with straw and displayed around the city. It was later taken to Constantinople by the Pasha himself; it was stolen from Constantinople by a Venetian merchant or slave (the sources do not agree) named Gerolamo Polidori and transported to Venice. It is kept in the church of Santi Giovanni e Paolo. 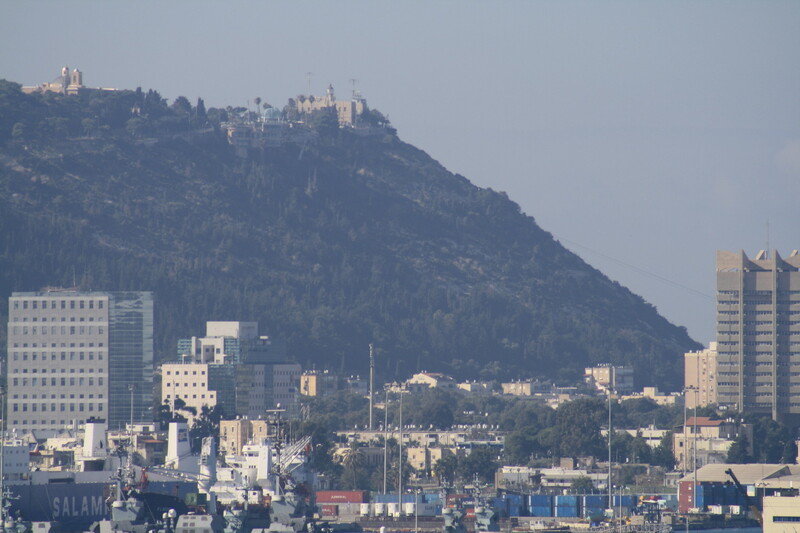 Nestled on the slopes of Mount Carmel, what today is the important city of Haifa, in northern Israel, was an insignificant port during the Middle Ages. Acre, its neighbor some 10 miles to the north, at the other end of the Haifa Bay and now considered part of Haifa's metropolitan area, was the true commercial hub and religious center in centuries past. As a result of the First Crusade in 1104, Acre became the main port of the Kingdom of Jerusalem. For the Venetians it was a crucial market where they traded in medicinal extracts and spices from the Far East, ivory from Africa, dates from Arabia, saffron powder from Persia and many other luxury goods from the Orient. The Genoese and the Venetians both had established colonies in Acre. Each nation had its own district with its own authorities, but the disputes between the two rivals were frequent, violent and usually for insignificant reasons. In the 1250s a series of angry altercations ended up in a full-blown armed confrontation between Venice and Genoa. The result was that Venice took control of Acre in 1257 and expelled the Genoese after a disgraceful defeat. 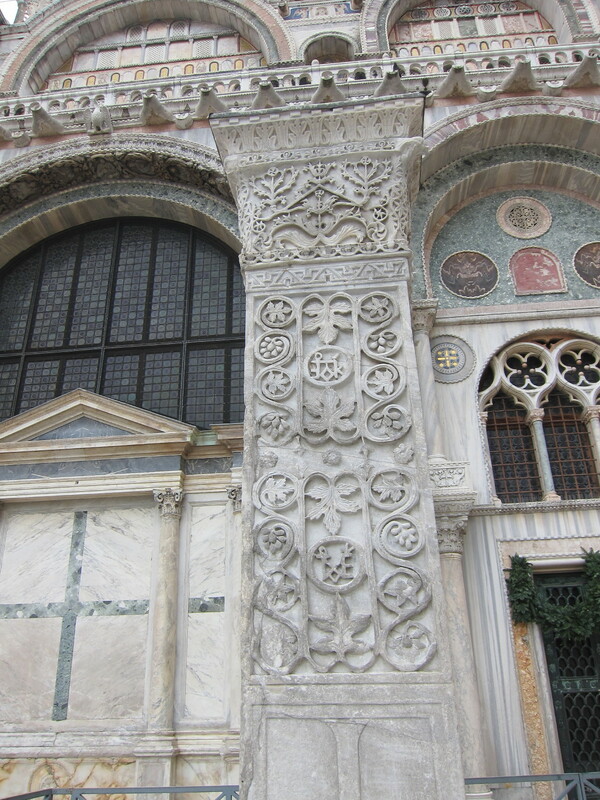 As spoils of war they took from the church of Saint John the two columns known as the Pillars of Acre –dating from the 6th century– and since displayed on the south front of Saint Mark's Basilica in Venice. 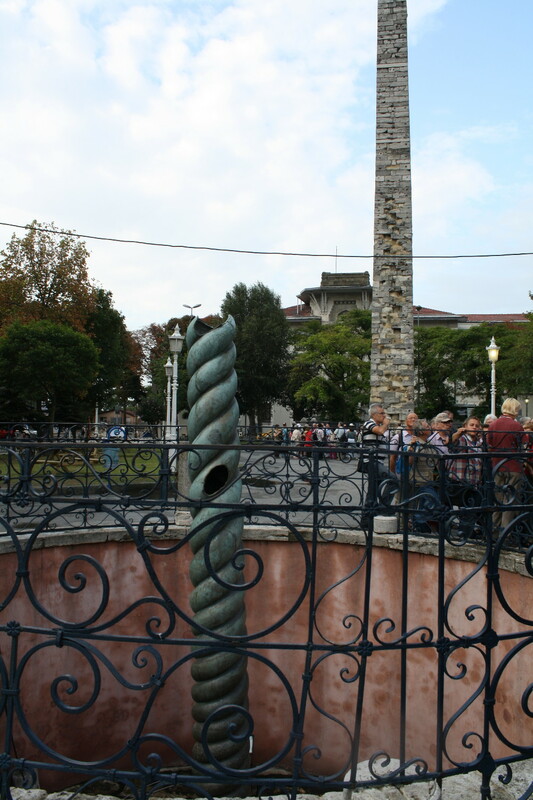 The Venetians also took the Pietra del Bando, a small porphyry column that used to be in the Genoese quarter of Acre, which they put near the pillars outside the Basilica. Venice's victory over the Genoese did not last long. In 1291, the Mameluks from Egypt conquered Acre and the Venetians were expelled and forced to look for oriental merchandise somewhere else. 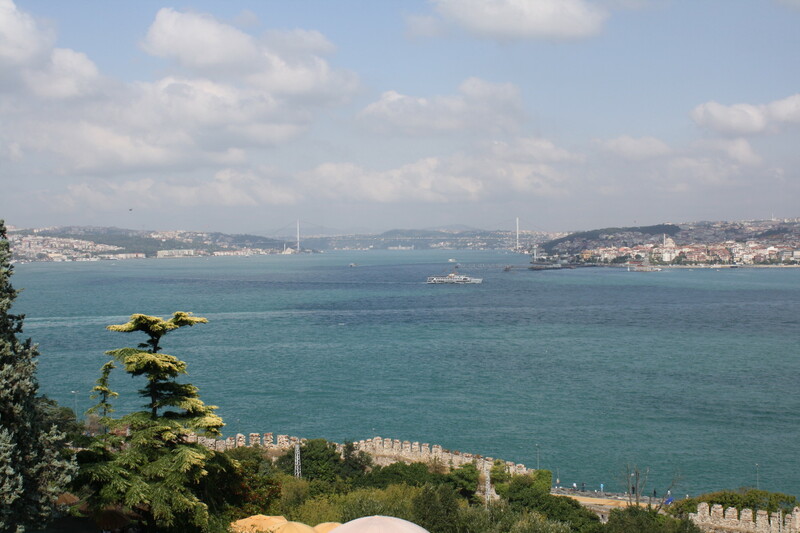 They sailed north, past the Bosporus, to the Black Sea. The city of Acre is where the Polo brothers, Maffeo and Nicolò, traveling with Marco met with the newly elected Pope Gregory X, who furnished them with papal letters, oil from the Holy Sepulcher and two friars to be taken to the empire of the Great Khan. The friars left their mission soon after departure in 1271, but the oil and the letters eventually made it to the court of Kublai Khan. Freeing Jerusalem of the "infidel" and reclaiming the Santo Sepolcro was the driving force behind the crusades to which Venice subscribed, if not entirely for religious reasons, at least in part for commercial gain. Many of the territories that Venice obtained in the Eastern Mediterranean between the 12th and 15th centuries were the result of its religious expeditions to free Jerusalem, a city that since the time of Saint Helena had grown into the most important pilgrimage center of Christianity. 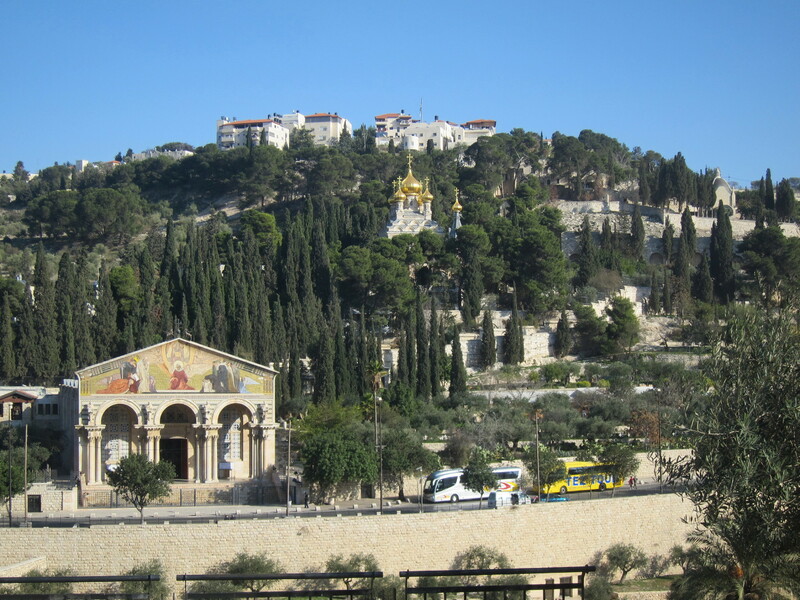 Saint Helena, the mother of Emperor Constantine, and perhaps the first female archaeologist ever, is credited with the discovery of the relics of the Holy Cross in Jerusalem. 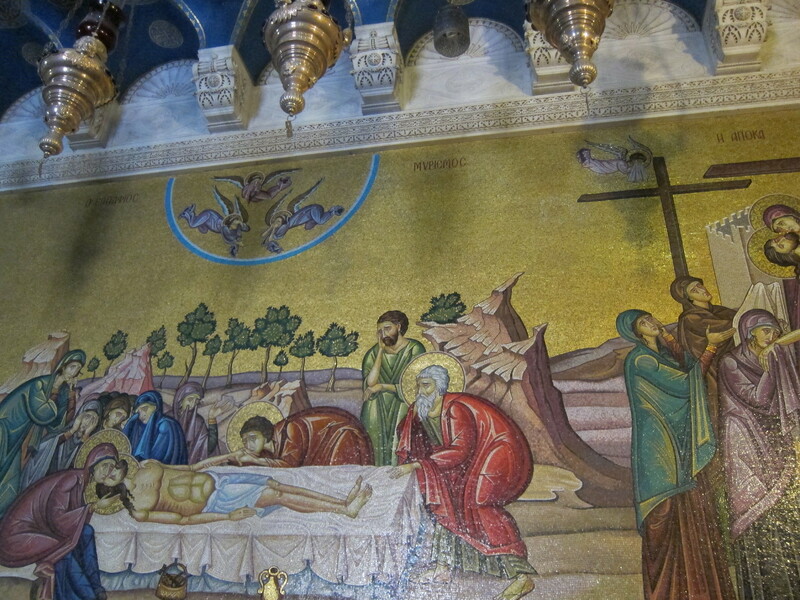 She also started the construction of the first Basilica of the Nativity in Bethlehem. The Santo Chiodo, one of the nails used in the Crucifixion and also discovered by Saint Helena, is kept in the Capella del Santo Chiodo in the church of San Pantalon, in Venice, or at least that's what is believed (see Annie's blog for a wonderful post on this chapel). Saint Helena's remains were transferred to Venice in 1211 and are venerated in the church of Sant' Elena in the sestiere of Castello. 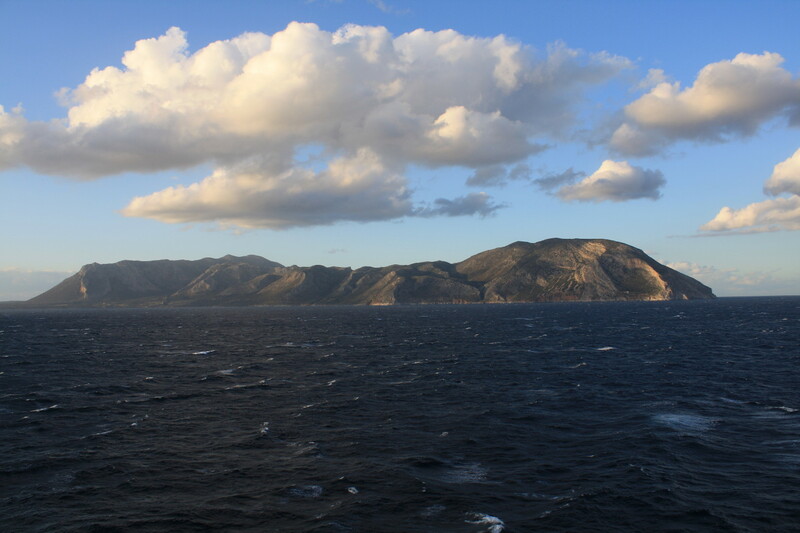 The Gulf of Lepanto, now known as Gulf of Corinth, north of the Peloponnese, was the location of one of the most memorable battles in the history of western civilization. The Holy League, composed of the most unlikely allies (Venice, Genoa, Naples, Tuscany, the Papal States and Spain among others) considered the ever expanding maritime presence of the Ottomans in the Mediterranean a real threat, especially after the siege and bloody fall of Cyprus where Marcantonio Bragadin had been skinned alive. On October 7, 1571, only a few weeks after the death of Bragadin, the Holy League engaged in battle against the Turks in the Gulf of Lepanto. More than 400 ships and a hundred thousand men, from both sides, participated in the confrontation that resulted in the loss of thousands of lives from both sides, but was especially devastating to the Ottomans. 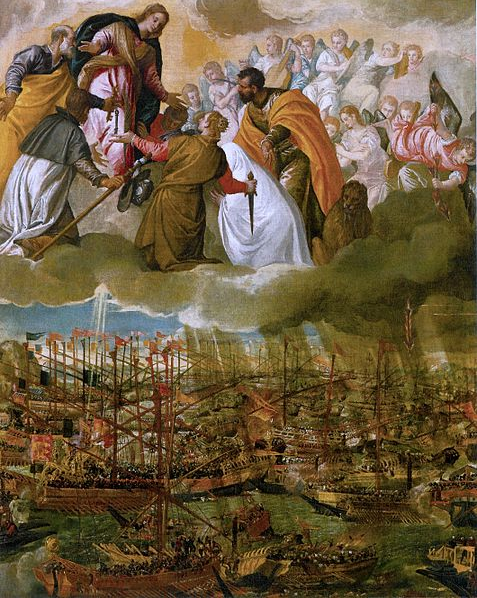 The victory of Lepanto was credited to the intercession of the Virgin Mary through the devotion of the rosary. In the Roman Catholic liturgical calendar, October 7 was introduced as the day of Our Lady of Victories or Our Lady of the Rosary. As a side note, let's add that Miguel de Cervantes Saavedra, the author of Don Quixote, fought at Lepanto were he lost the use of his left hand "for the glory of his right," as he himself put it. He is known in the Hispanic world as the Manco de Lepanto (the One-Armed Man of Lepanto). A rocky promontory off the east coast of the Peloponnese, Monemvasia - Malvasia according to the Venetians - was also called the Gibraltar of the East. It was under the authority of Venice from 1464 until 1540 and again from 1690 until 1715. 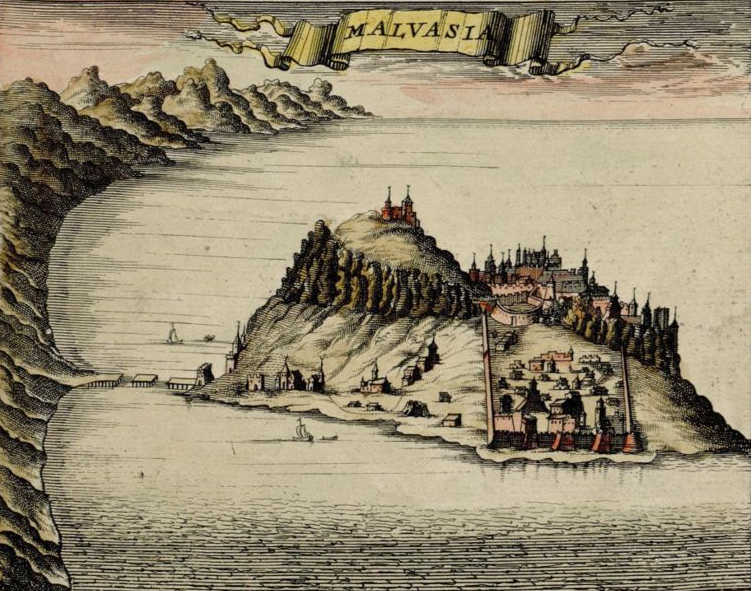 The island lent its name to a whole variety of wine, called malvasia wine or malmsey, that thanks to the distribution power of the Venetians reached almost every corner of Europe and Asia (Vasco da Gama found it in India in 1498). In Venice proper, the wine shops were called malvesie and they are remembered today by the numerous streets and public places called della Malvasia. The city of Myra (modern Demre) in Anatolia was the birthplace of Saint Nicholas. Departing from Rhodes and on their way to the Holy Land during the First Crusade, the Venetian fleet, always multitasking, visited Myra in May of 1100 hoping to get the relics of Saint Nicholas for which they had already built a church in the Lido. But they had been scooped by the Bariense who had taken the relics in 1087. With only fragments of the saint's bones, the fleet –nine-thousand-men strong– departed Myra towards Jaffa where they arrived in June. The Venetians were instrumental in the siege and fall of the city of Haifa in August 1100. 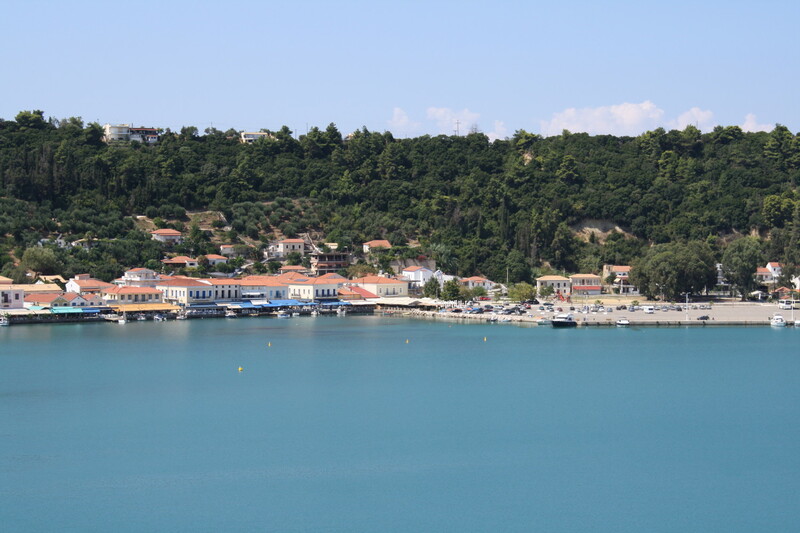 The narrow island of Negroponte (Greek name Euboea) runs along the eastern shore of mainland Greece to which it has been connected by a bridge since antiquity. 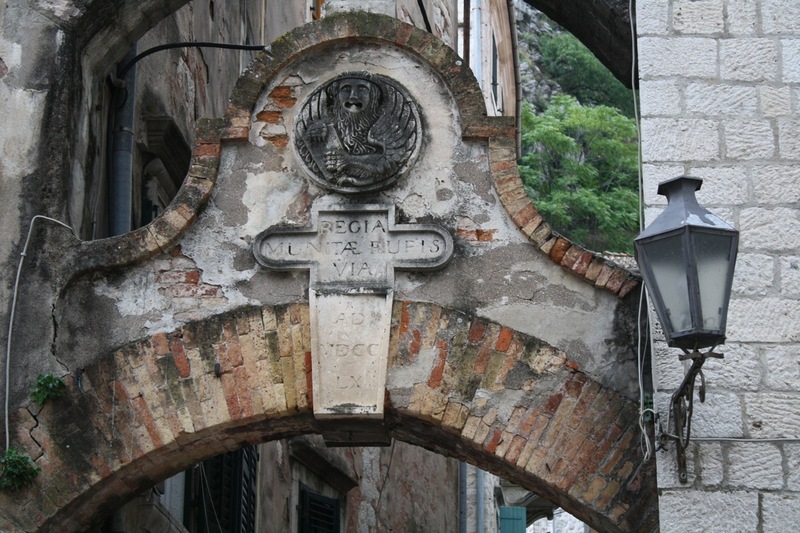 The Venetians gave it the name of Negroponte (black bridge) after the bridge that spans the Euripus Strait. 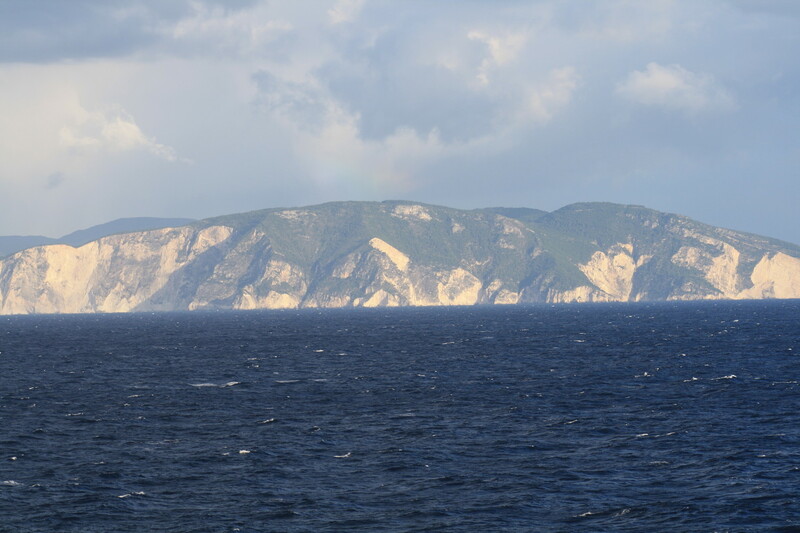 The strait is only about 40 meters wide at its narrowest point and has the oddity of being subject to fast tidal currents that change direction (northwards or southwards) every six hours. Negroponte had been a Venetian colony since 1390 but it fell to the Ottomans under the command of Mehmed II in 1470. The bailo, Paolo Erizzo, was sawn in two and the people of the city of Negroponte (today Chalkida or Chalcis) were killed. Fra Antonio da Negroponte, probably born on the island, was an early Renaissance painter active in Venice and Padua in the 15th century. 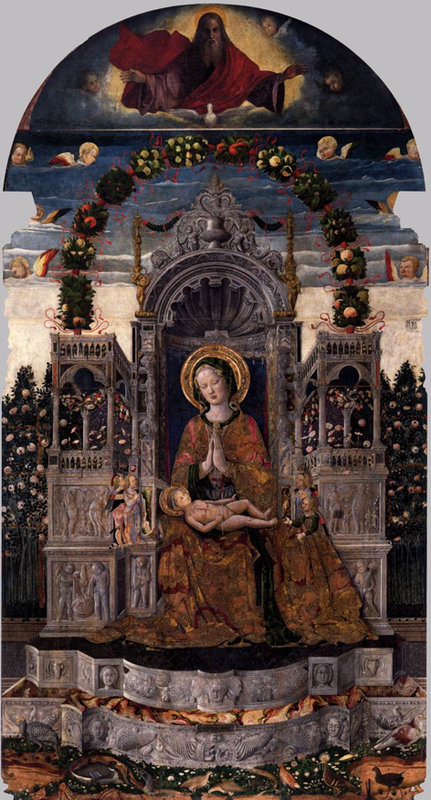 His beautiful Madonna and Child Enthroned can be admired in the church of San Francesco de la Vigna. The lunette with God the Father and the Holy Ghost is a later addition by Benedetto Rusconi, known as Il Diana. 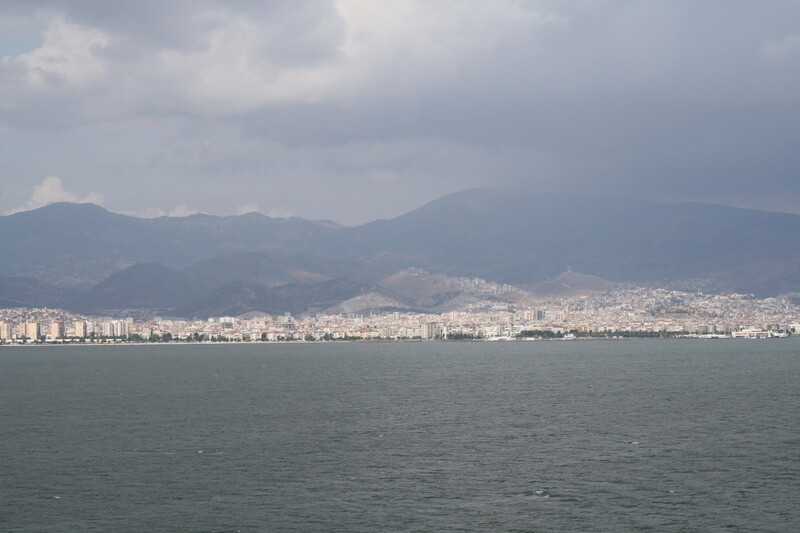 The Peloponnese was known as Morea by the Venetians. The name is probably due to the morous or mulberry trees that were planted in the region. From the early 13th and until the beginning of the 16th century, Venice maintained two colonies in the Peloponnese, Coron and Modon, referred to as the Eyes of the Republic. The region fell to the Ottomans but it was recovered by the Venetians under the command of Captain General, and later doge, Francesco Morosini during the Morean War (1684-99). Venice's control of the Peloponnese lasted until 1715. 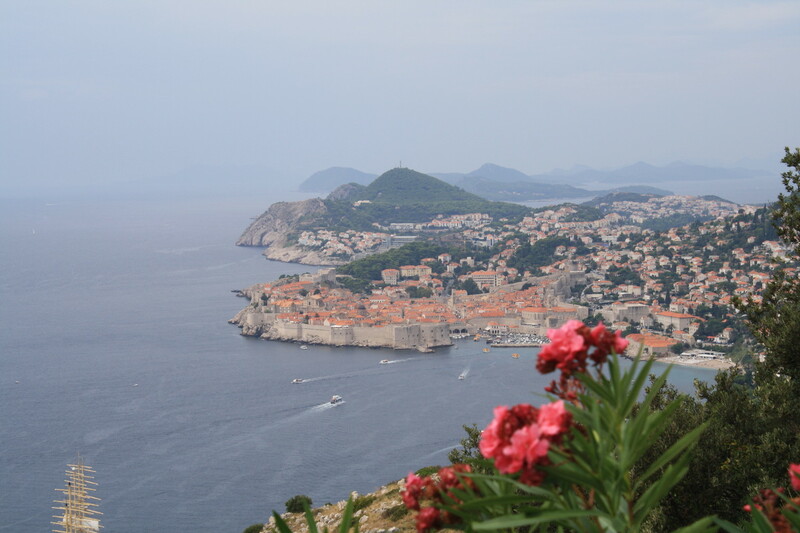 The city of Ragusa, today Dubrovnik, in southern Croatia was under Venetian control from 1205 until 1358. After the treaty of Zadar of 1358 it gained independence from Venice and became the Communitas Ragusina (later called Respublica Ragusina) under the sovereignty of the Kingdom of Hungary and later a tributary of the Ottoman Empire. The Venetian influence on Ragusa was very strong, especially in its political and social organization. The Republic of Ragusa was the first state to recognize in 1776 the independence of another republic, the United States of America. The Republic of Ragusa lasted until 1808. Never under Venetian dominion, the island of Rhodes was an important stepping stone for the crusaders on their way to the Holy Land. In 1100, the Venetian fleet commanded by Giovanni Michiel, the doge's son, spent the winter on the island before heading to Myra and then to Jaffa, during the First Crusade. 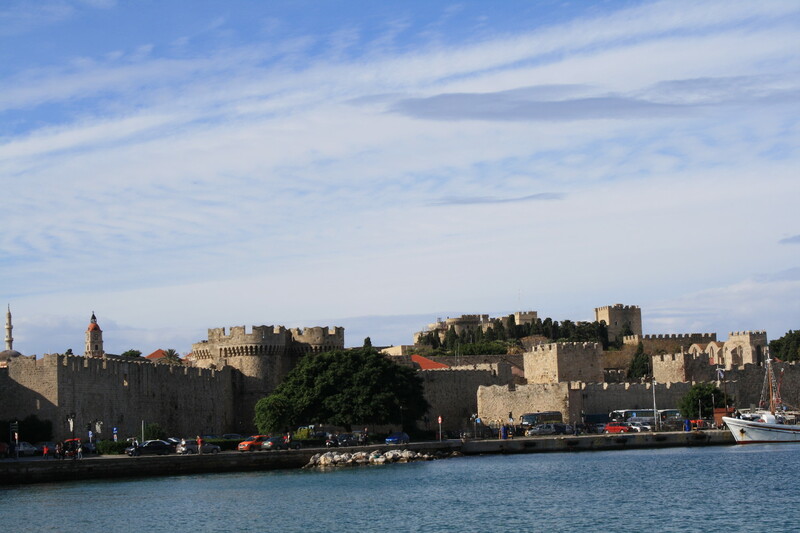 In 1309 the island passed under the control of the Knights Hospitaller, also known as the Knights of Rhodes. 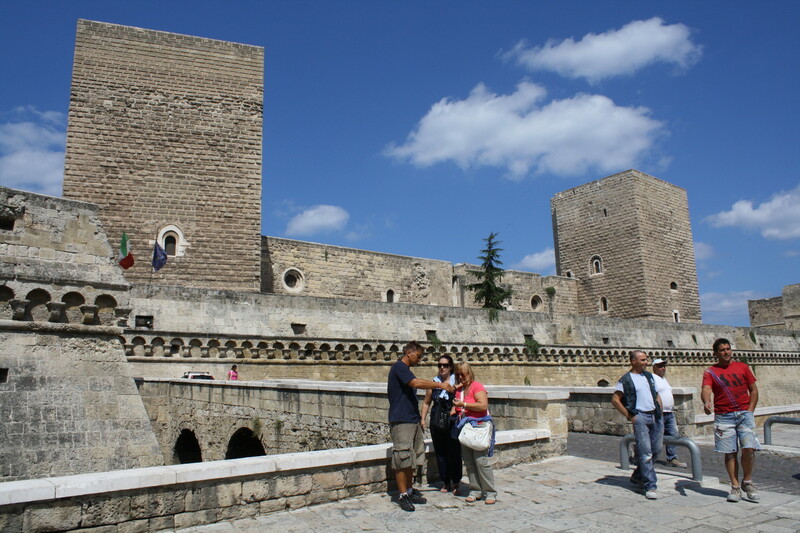 They built the heavy city walls to withstand the attack of the Turks. 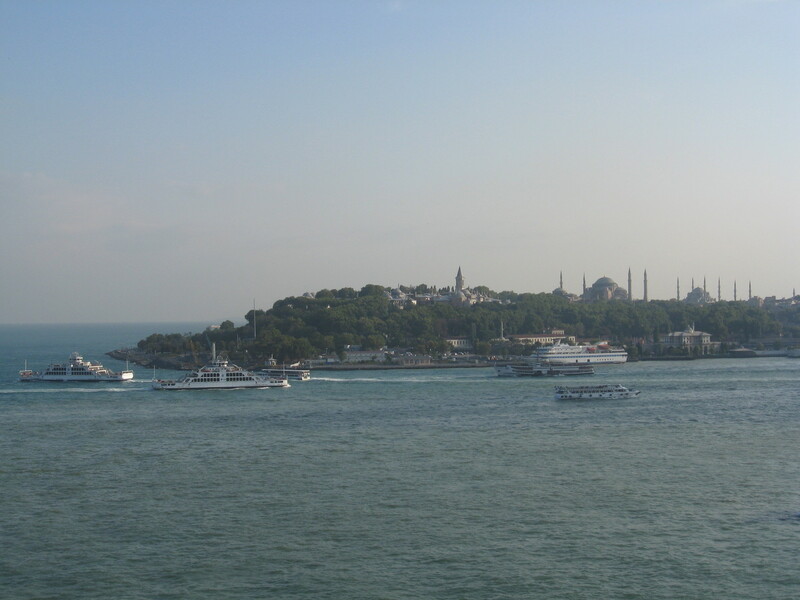 The island finally fell to Suleiman the Magnificent in 1522 and the knights were forced to relocate. They finally settled in Malta. Part of the Albania Veneta, a strip of land some 20 miles wide that stretched from northern Albania to Montenegro on the Adriatic shore, Scutari (also known as Shkodra, Shkodër and Skadar) came under Venetian control in 1396. Sultan Mehmed II, called the Conqueror, personally undertook the siege of the citadel in 1478. After months of brave resistance the Venetians and Albanians agreed to surrender the city on condition that the people be spared. After the siege, many Albanian families left Scutari and relocated in Venice. 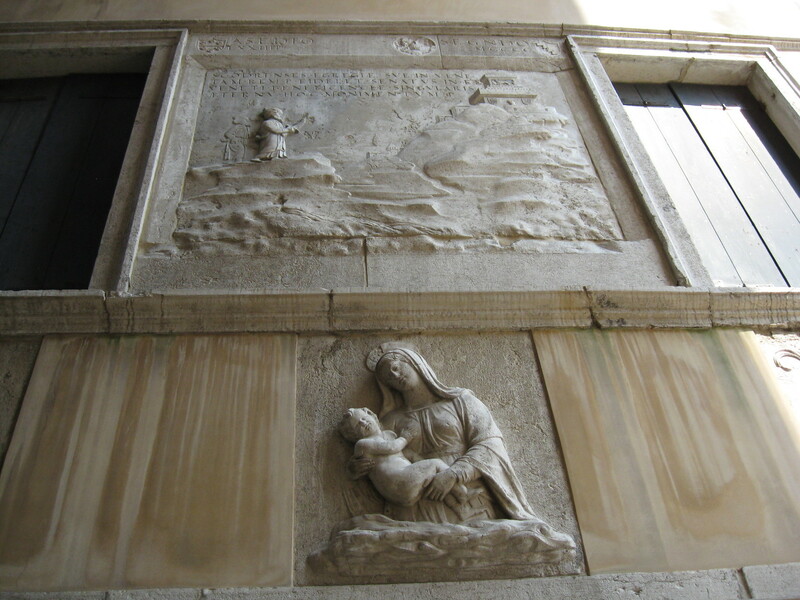 A relief showing Mehmed the Conqueror during the siege can be admired on the façade of the Scuola degli Albanesi, next to the church of San Maurizio, in Venice. What today is the city of Izmir, the third largest city in Turkey, for centuries used to be a small port in Anatolia known by the Latin name of Smyrna. During the Middle Ages it switched back and forth between Byzantine and Ottoman control until the 15th century when it definitively passed under Ottoman rule. Venice raided the city on a couple of occasions, in 1344 and 1475, but never established control over it. It was often used as a bargaining chip between the Byzantines, the Genoese and the Venetians for the control of more desirable ports in the Eastern Mediterranean. Izmir's commercial importance grew in the 17th and 18th centuries. 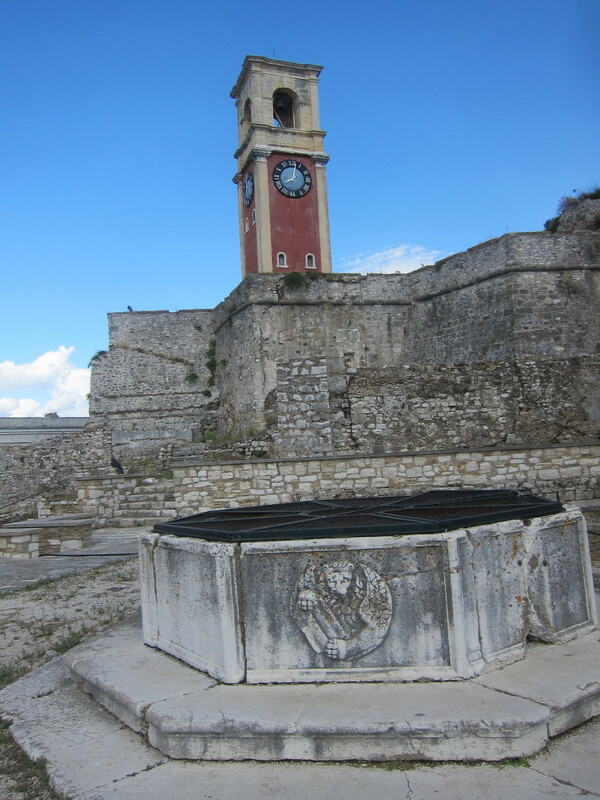 Spalato, today Split, on the southern coast of Croatia was under Venice's control from 1420 until the end of the Republic in 1797. In 1409 the King of Hungary, Dalmatia, Naples, Sicily and Jerusalem, Ladislaus the Magnanimous, wanted to sell his claim to Dalmatia, including Spalato, to the Venetians for 300,000 florins. The Venetians waited until the right moment and offered only 100,000 florins and the deal was sealed. 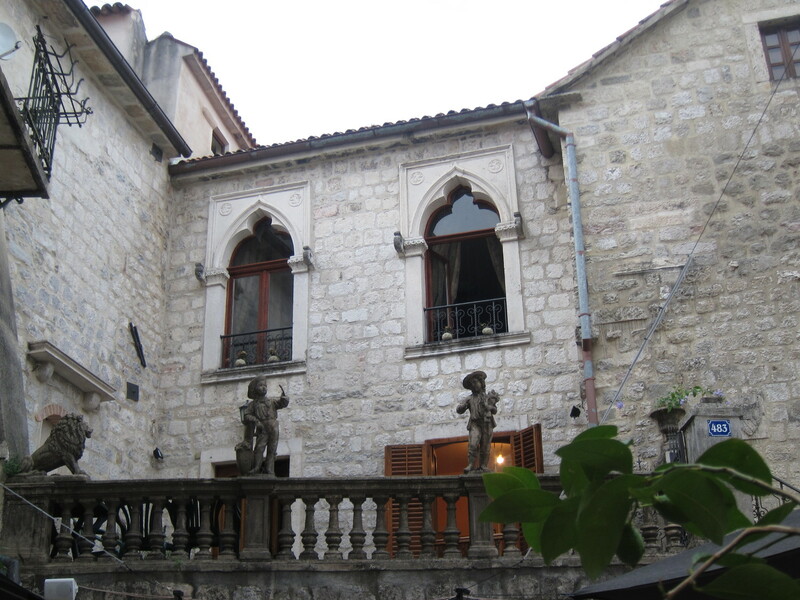 They took possession of Spalato in 1420. "The river Tana is a strange sight, as are also the peoples who live around it. They kill a fish which they call merona which they say are very, very large, and they put their eggs into barrels and take them all over the world, especially to Greece and Turkey, and they call them caviar, and they look like black soap, and they take them when they are soft and press them with a knife, as we do with soap, and put them into braziers, which hardens them, and they look like fish eggs. It is very salty." These are the words of Pedro Tafur, Spanish traveler and keen observer of the Stato da Mar, about the peoples who lived on the banks of the River Don by the Sea of Azov around the time of his travels (1435-1439). By permission granted by the Great Khan, in 1333 the Venetians built the city of Tana (known also Tanais, today Azov in Russia) on the mouth of the River Don on marshy lands that probably reminded them of their homeland hundreds of miles away. Life in this remote outpost of the Stato da Mar was rough. 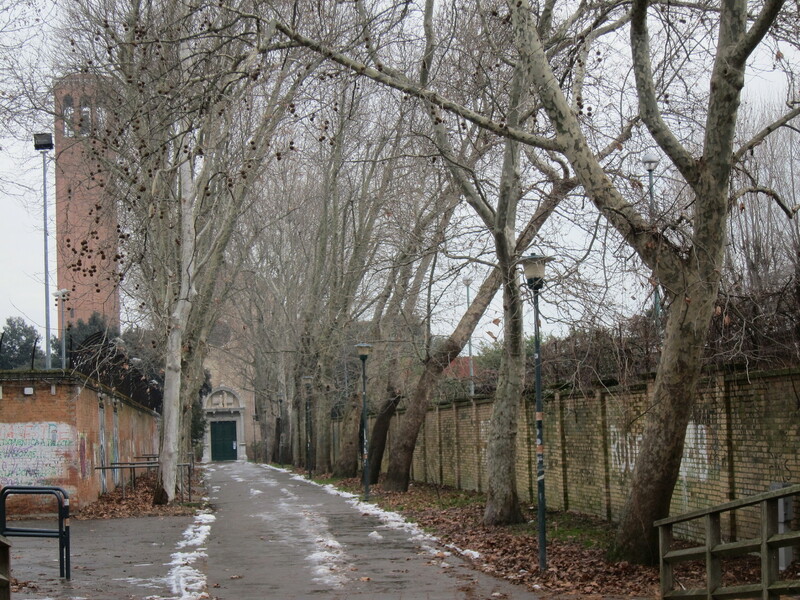 It took months to travel to this desolate and cold place and weeks would go by without any communication with Venice. Still Tana was a prized possession because it reopened the trade with the Orient that the Mameluks had closed with the fall of the Holy Land at the end of the 13th century. 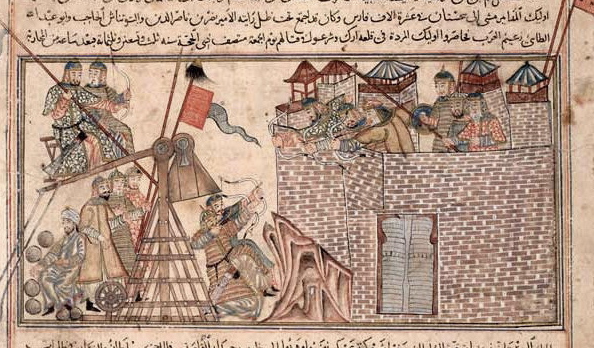 Tana fell to the Turkish conqueror Timur at the end of the 14th century. In Venice, the place is still remembered by the name of a canal, Rio de la Tana, that runs along the old rope factory of the Arsenal. Rope was an essential product in ship building and the hemp used to make it came from Tana. On the north shore of the Black Sea lay the westernmost part of a region called the Golden Horde, part of the Mongol Empire. Two outposts in this region were of great importance for Mediterranean commerce: Caffa on the Crimean peninsula, under Genoese control, and the competing trading center of Tana on the mouth of the Don River, under Venice's administration. 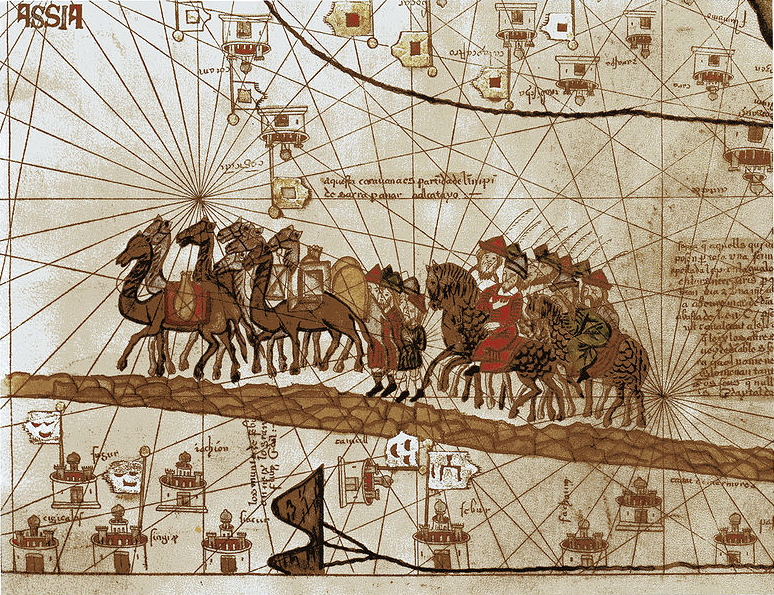 The Golden Horde, a vast area bordering the Black and the Caspian Seas was at the center of the known world in the 15th century, and at the crossroads of trade between West and East, a strategic position that Venice knew how to exploit to great advantage. 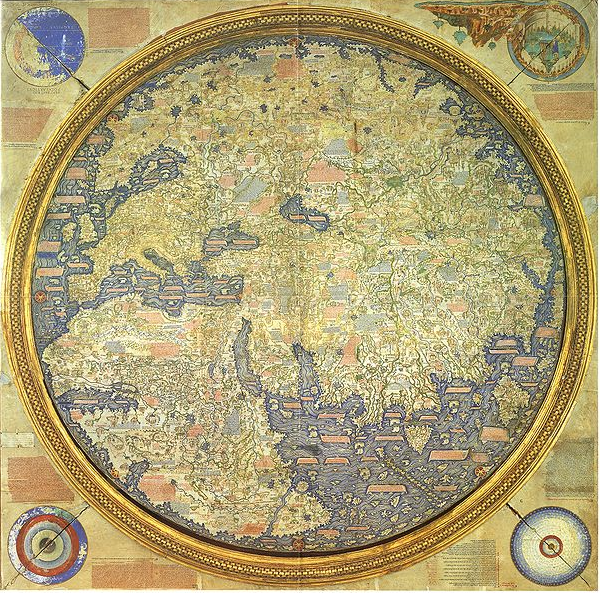 The map composed by Fra Mauro, a Venetian monk, in 1450 depicts such a world. But the known world of 1450 was about to expand at an explosive rate and such a blast would eventually take away Venice's supremacy of the seas. 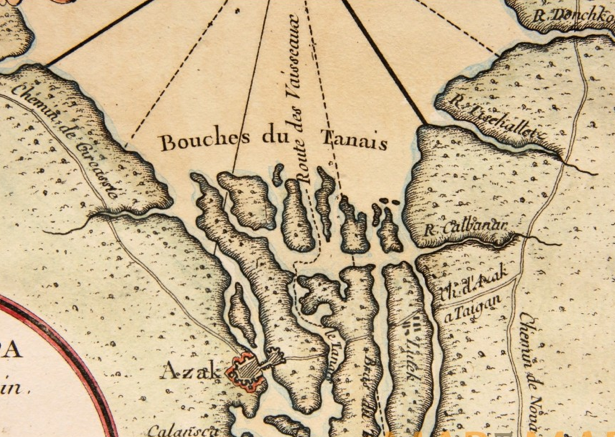 The small island of Tenedos (today Bozcaada in Turkey) at the south end of the Dardanelles –the strait connecting the Aegean Sea and the Sea of Marmara– was a strategic place during the Middle Ages. Under Byzantine control, it was offered for sale to the Venetians who in 1376 eagerly purchased it, to the outrage of the Genoese. This deal culminated in a war between Genoa and Venice, known as the War of Chioggia, in which Venice, on the brink of destruction, was saved by the resilience of its people and the brilliant command of Vettor Pisani and Carlo Zeno. By the Treaty of Turin, at the end of the war, Venice relinquished its claim to the island but it gained total control over the Adriatic. 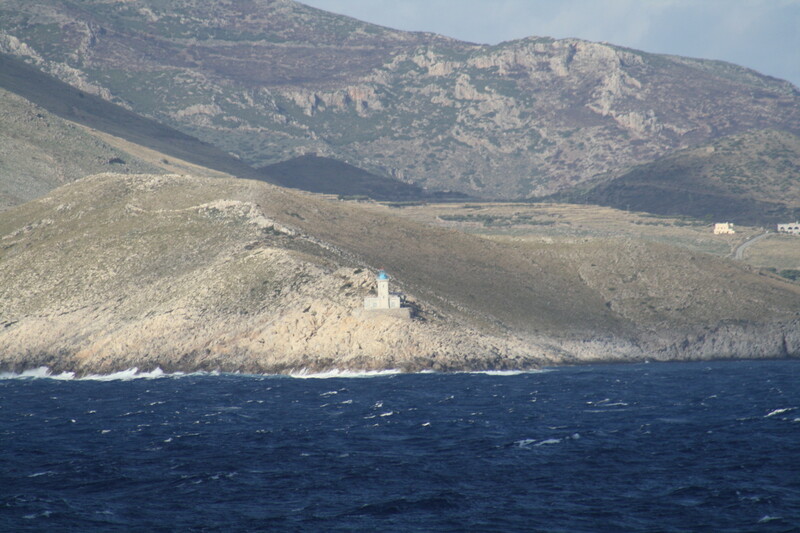 The buildings on the island were destroyed and its inhabitants relocated to Negroponte and Crete. When the Spanish traveler Pedro Tafur visited Tenedos in 1437, he found it inhabited by rabbits. The island of Tenedos was known in antiquity as the place where the Greeks hid after leaving the Horse at the gates of Troy and the place from where the two serpents were sent to kill the Trojan priest Laocoön and his two sons. 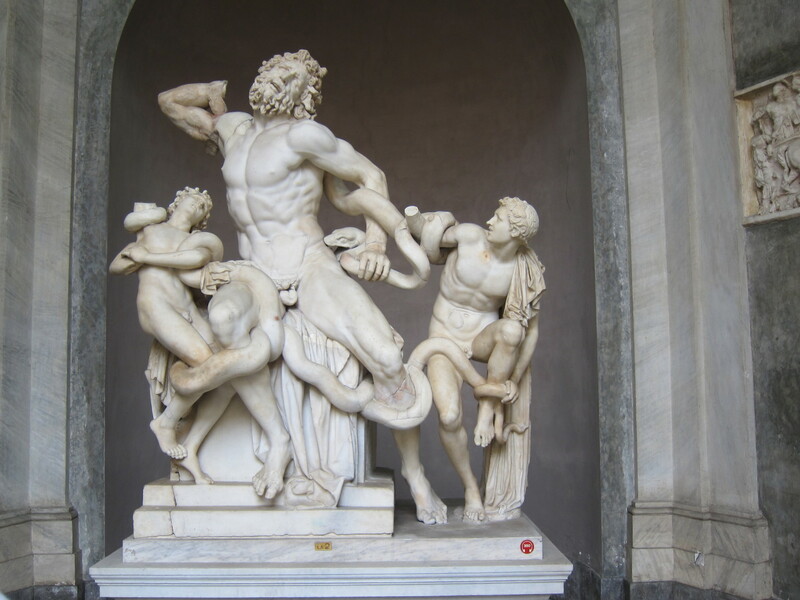 A famous sculpture now at the Vatican Museums depicts the scene. Trebizond (today Trabzon in Turkey) was an important port on the southern shore of the Black Sea. One of the western end-points of the Silk Road, it was an active trading center visited by Venetians and Genoese. 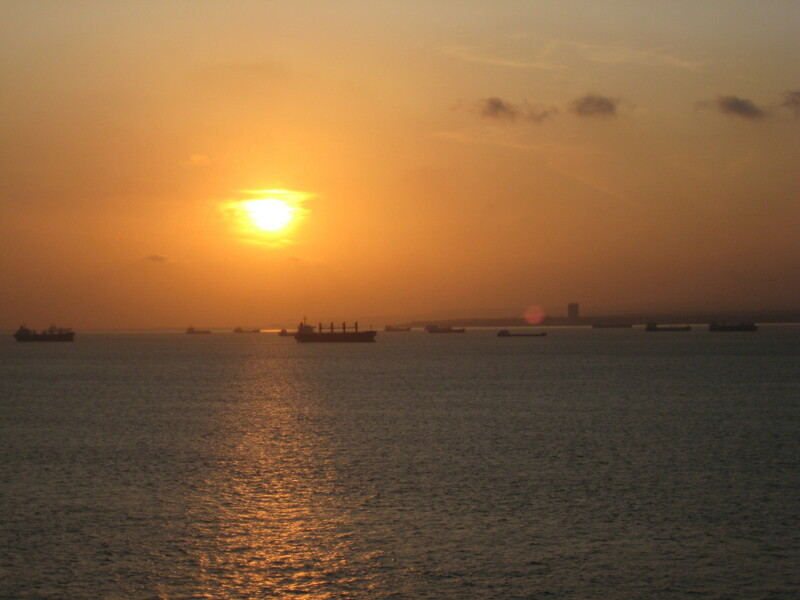 Marco Polo visited it on its way to the Far East and on his way back to Venice in 1295. Here the Europeans bought pepper, ginger and cinnamon from the East Indies, pearls from the Red Sea and silver, copper and alum from the Armenian Highland or Mountains of Ararat. In the twilight years of the Republic, Admiral Angelo Emo, in command of twenty four ships, raided Moorish outposts on the Barbary Coast to rid the Eastern Mediterranean of corsairs and pirates. 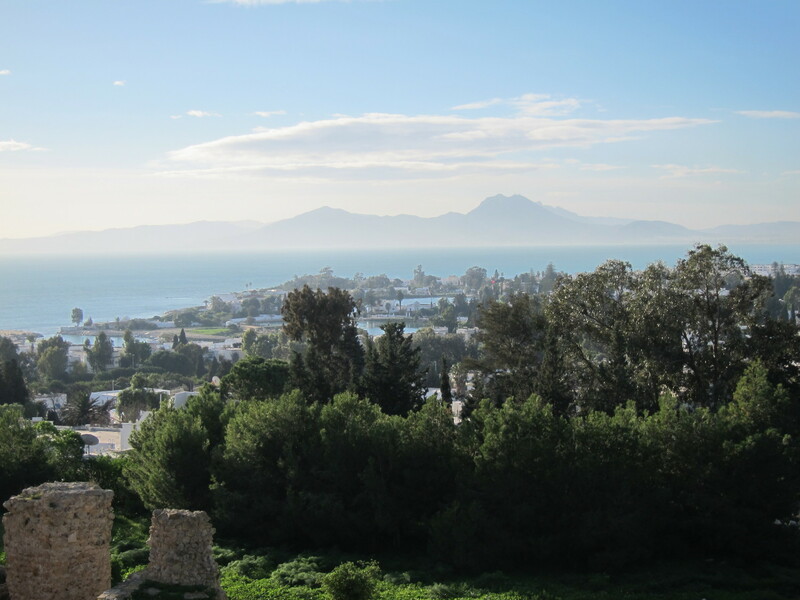 This action led up to the siege of Tunis in 1785. Although Admiral Emo did not capture the city, he was successful in reducing the piracy menace on Venetian shipping routes. A monument honoring Angelo Emo can be admired on the ground floor of the Museo Storico Navale in Venice. 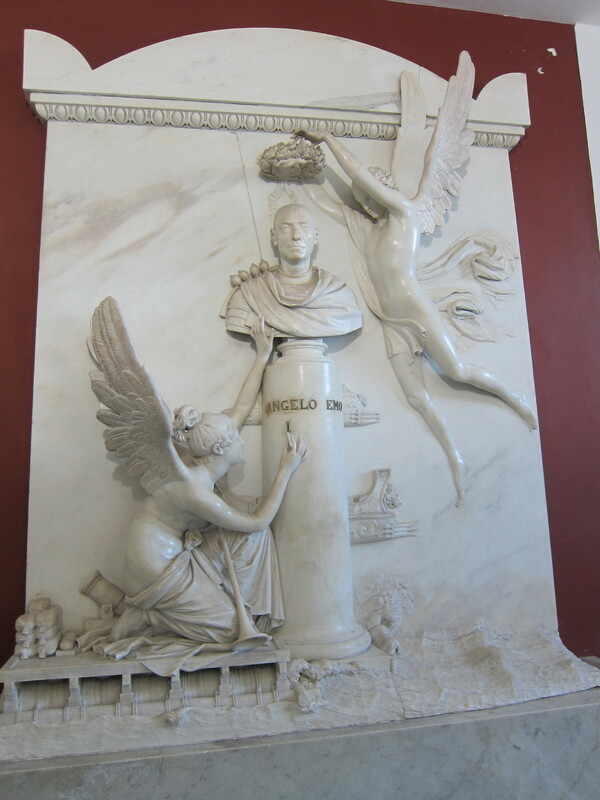 The sculpture is the work of Canova who because of a dispute over his remuneration, threatened to replace the admiral's head with that of his own grandmother. Apparently the dispute was resolved to Canova's satisfaction. 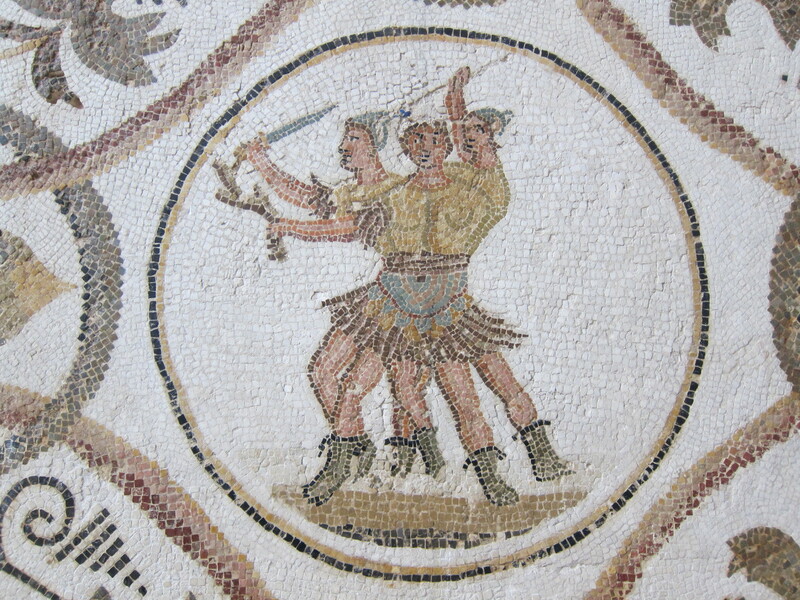 Tunisia has today what is arguably the world's largest and most diverse collection of Roman and Byzantine mosaics in the Bardo Museum (Tunis) and in many of its archaeological sites. 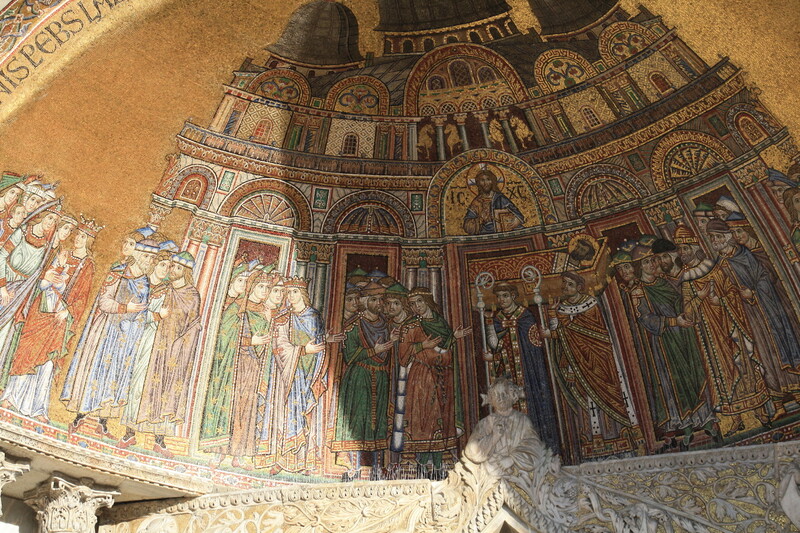 Mosaic art saw its culmination in Venice, at San Marco. The Greek island of Zante (Zákinthos) was under Venetian control between 1484 and 1797. 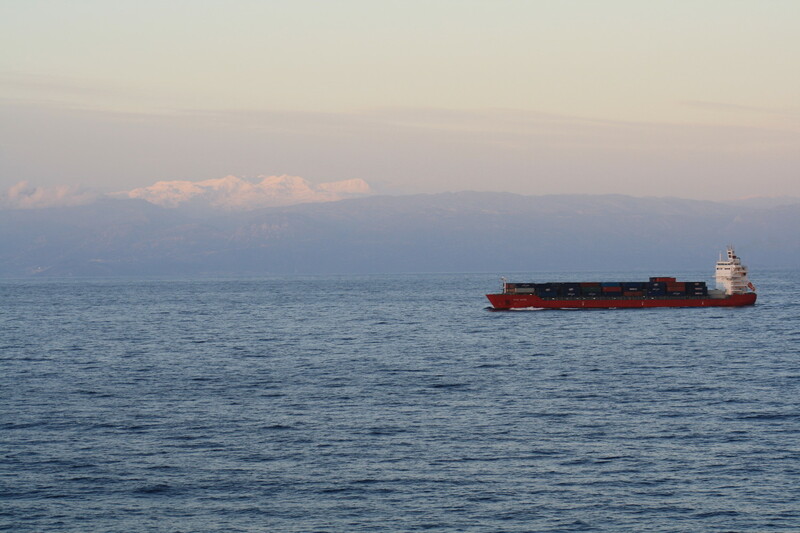 Blessed with a mild climate and breathtaking beauty, this small colony west of the Peloponnese, near the mouth of the Gulf of Patras-Corinth, not only provided Venice with a safe port for the ships en route to the East, but also with an abundant supply of raisins, called Corinthian raisins (known as Zante currants in the United States). In fact the name currant is a corruption of the word Corinth. This island was so priced by the Venetians that they coined the phrase: "Zante fior di Levante" (Zante flower of the Levant). Its beauty and strategic position was apparently a magnet for an underclass of individuals, the banditi, banished citizens who sought refuge on its shores. 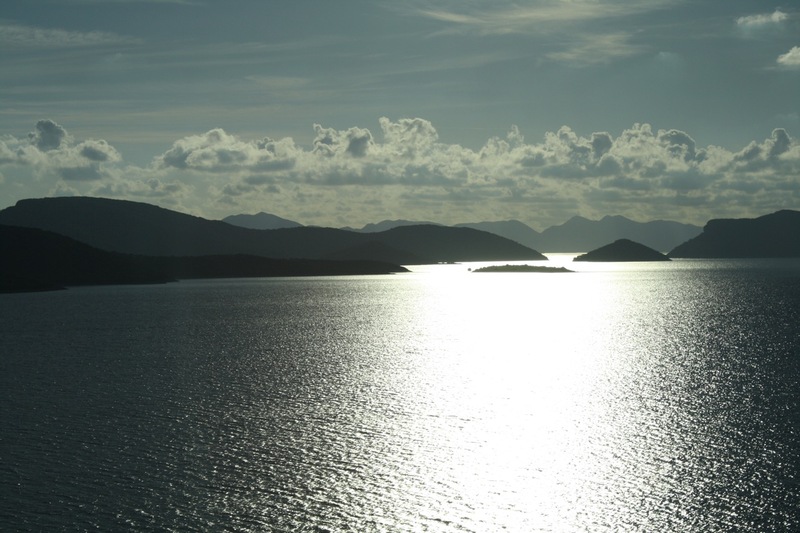 In 1601 there were six hundred banditi living in Zante out of a total population of about twenty thousand. The reasons for banishment were multiple: unpaid debts, treason, violent crime, moral offenses. 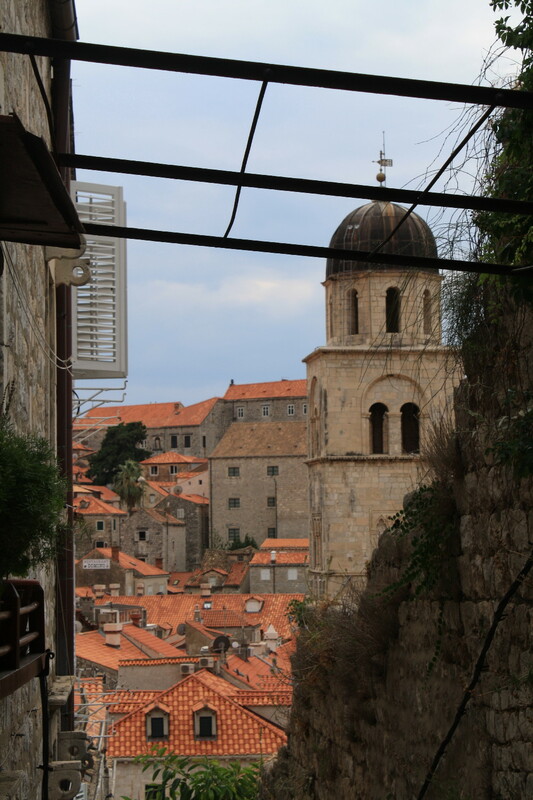 The first casualty of the Fourth Crusade, the city of Zara (today Zadar in Croatia) was occupied and later demolished by the crusaders under the command of Doge Enrico Dandolo. 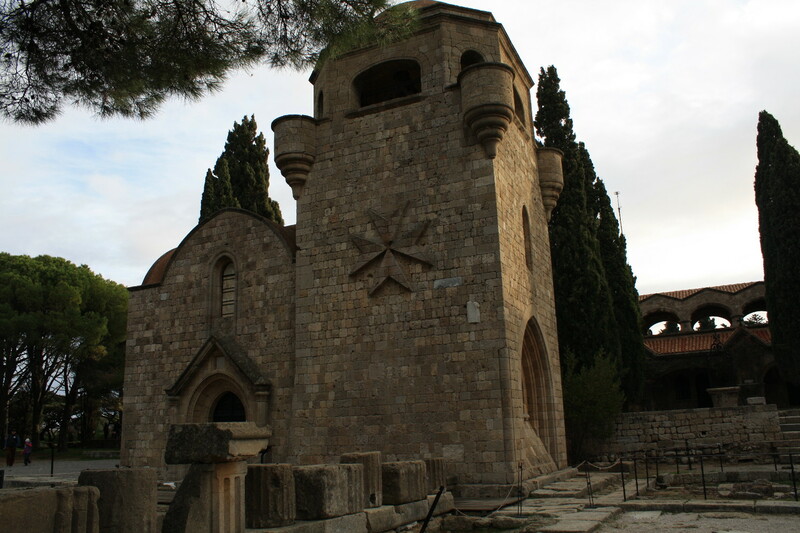 When the crusaders left in April 1203, only the churches remained standing. Because of this attack against a Christian city, they were excommunicated by the Pope. 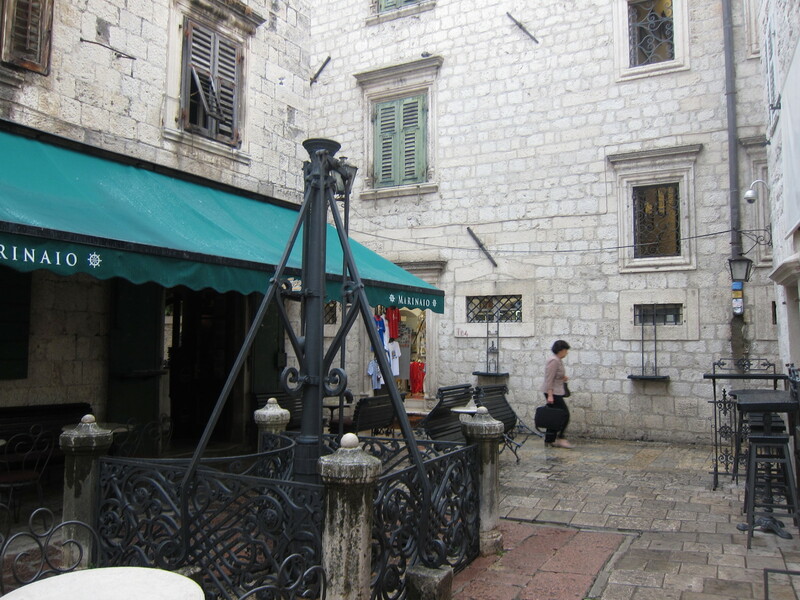 A few years later, Zara was rebuilt and it remained under Venetian control until the end of the Republic.